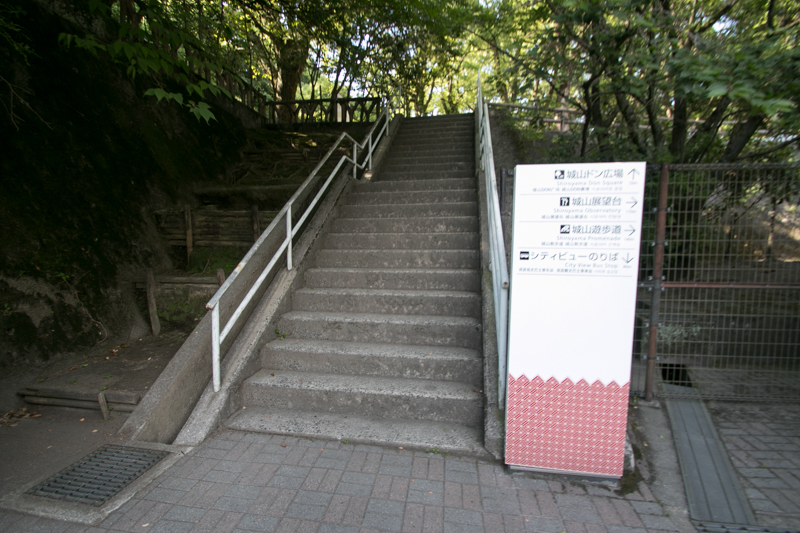 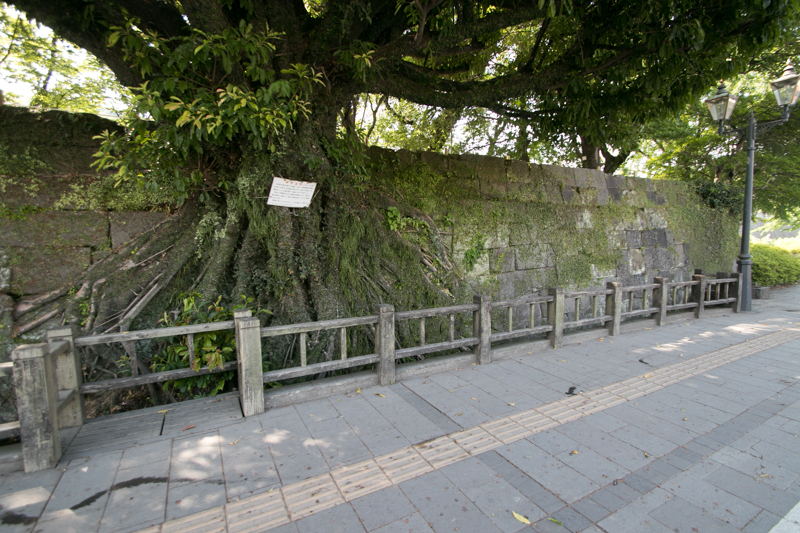 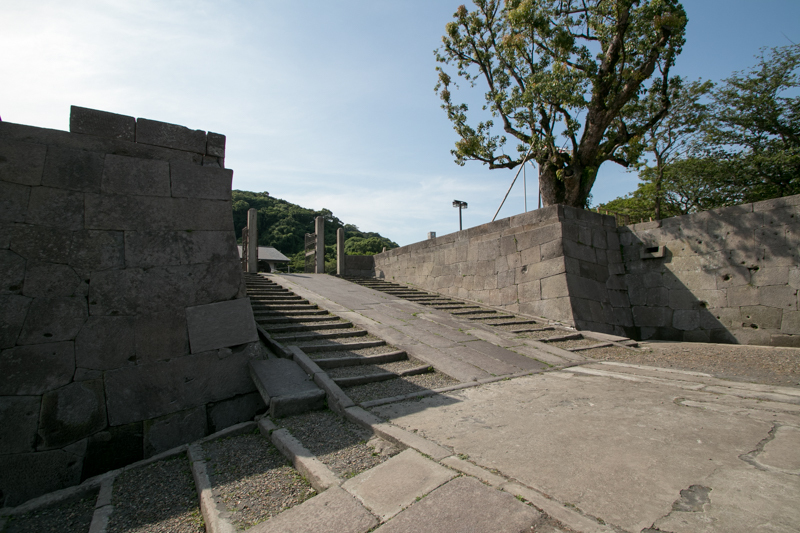 Kagoshima castle (鹿児島城, also called as Tsurumaru castle) is located at the gentle slope at the hillside of Shiroyama mountain, in the center of Kagoshima city. 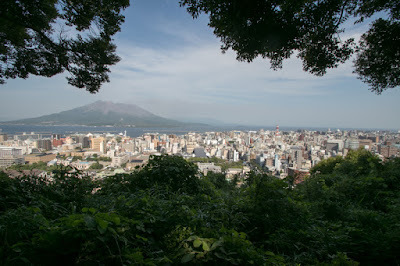 Generally Kagoshima area consist vast Shirasu (ancient volcano ash) layer plateau and small flat lands made by rivers, and Kagoshima city is one of such flat land at the middle of Satsuma peninsula faces Kinkowan bay. 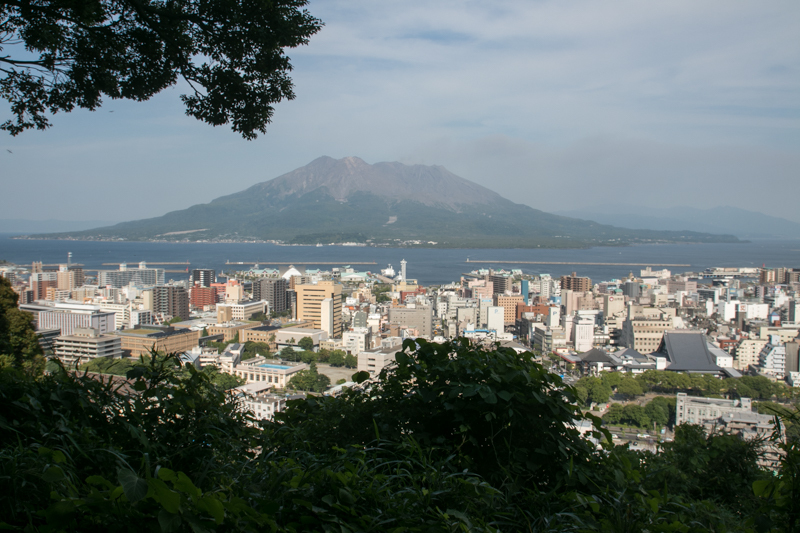 Seer mountains which was formerly a huge caldera of Aira volcano cover the north of city, then Kagoshima area is a suitable place for defense toward north. 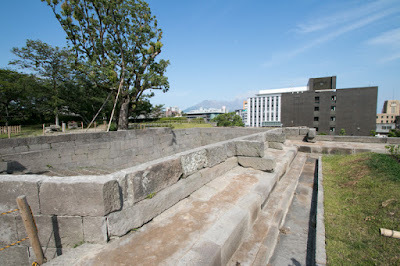 Historically the center of Satsuma province (western part of Kagoshima prefecture) had been the northwest part of province, such as Izumi area or Satsuma Sendai area at the border to Higo province (Kumamoto prefecture). They are large frat lands facing Adriane sea and convenient, but too distant from other part of the province and was easy to be attacked from outer area. 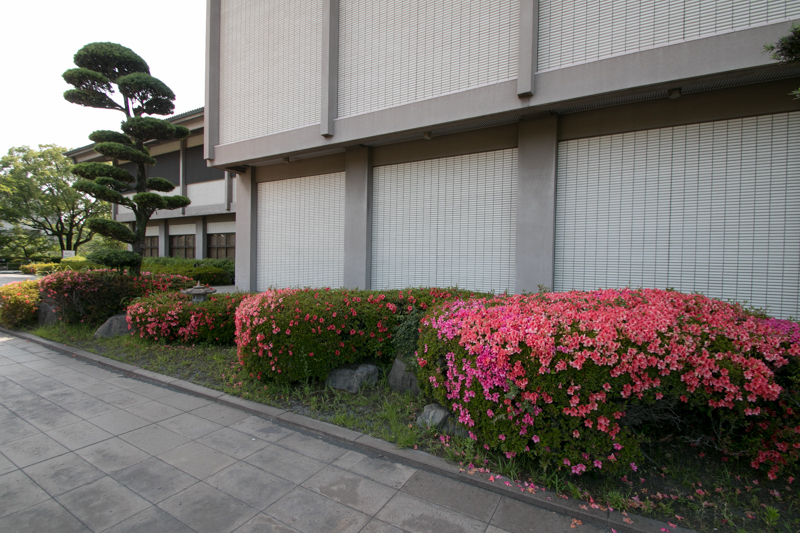 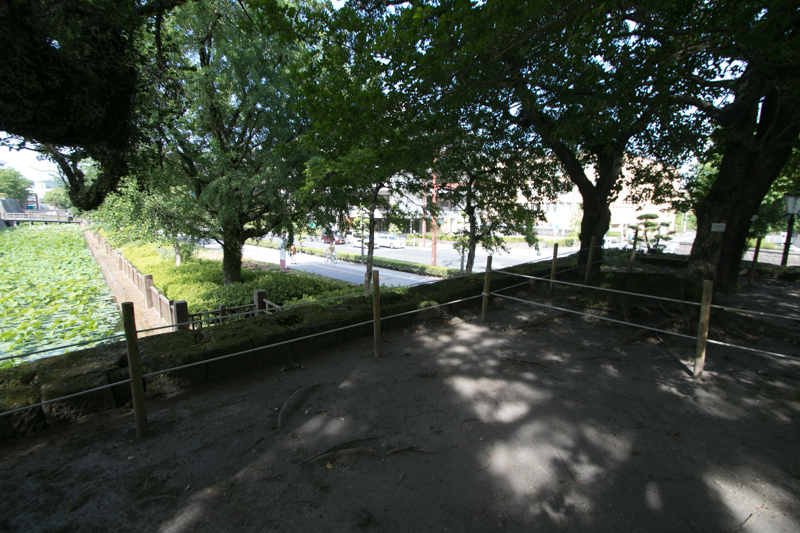 When Shimazu clan, the governor of Satsuma province, entered to the province, they first lived at Izumi area. 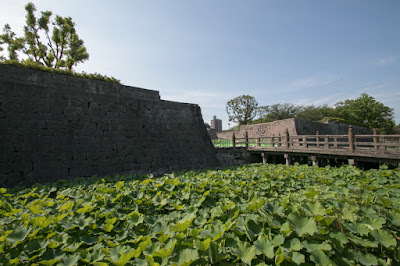 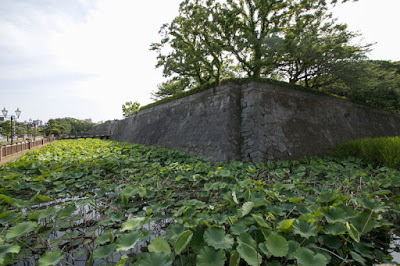 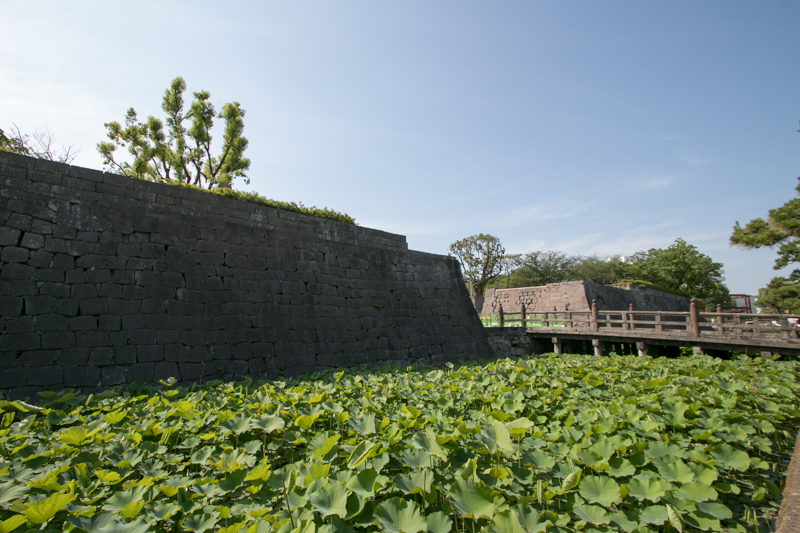 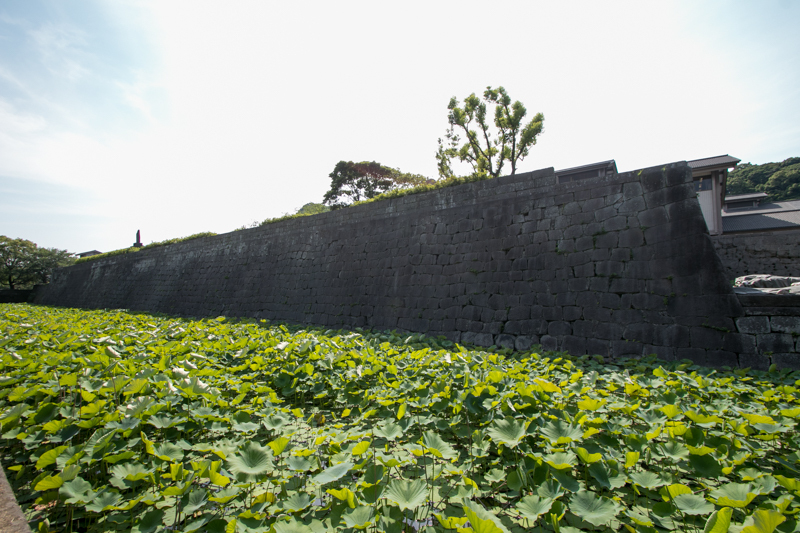 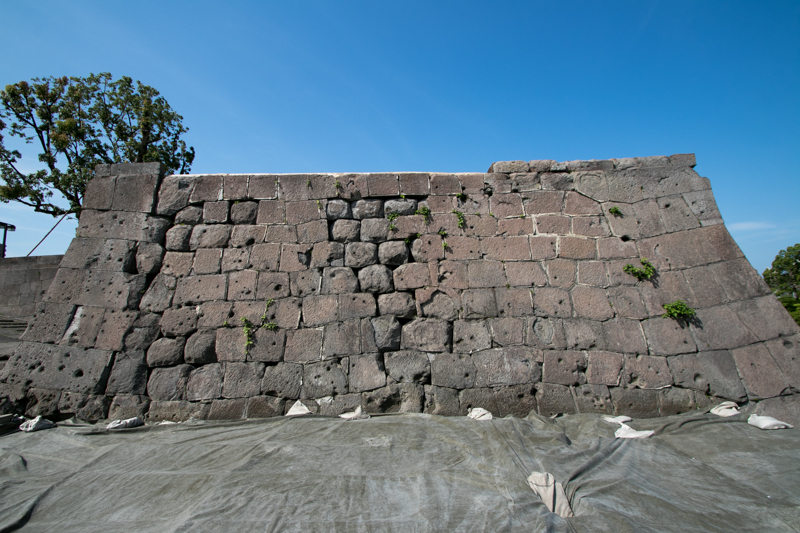 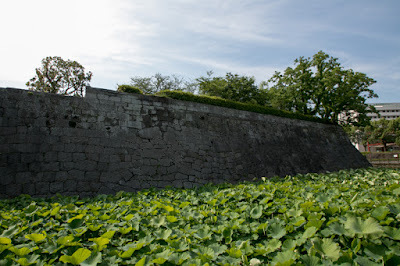 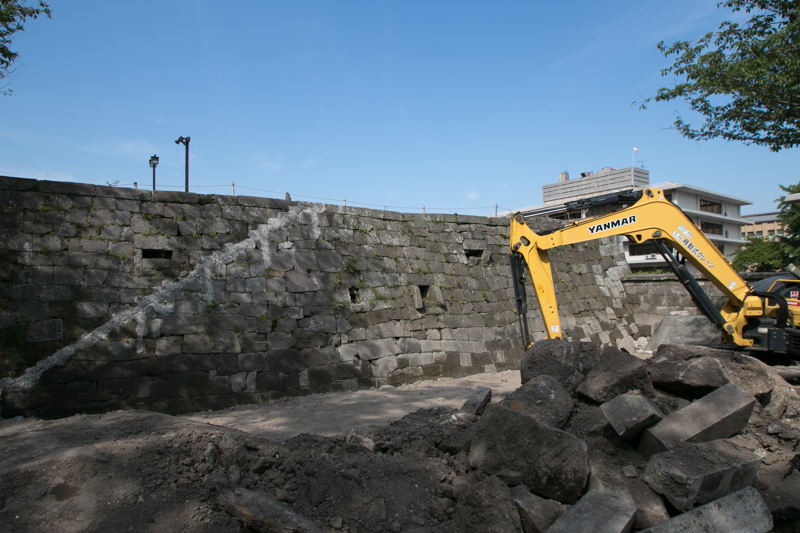 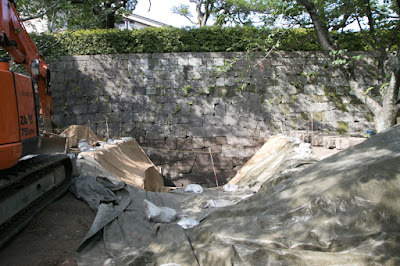 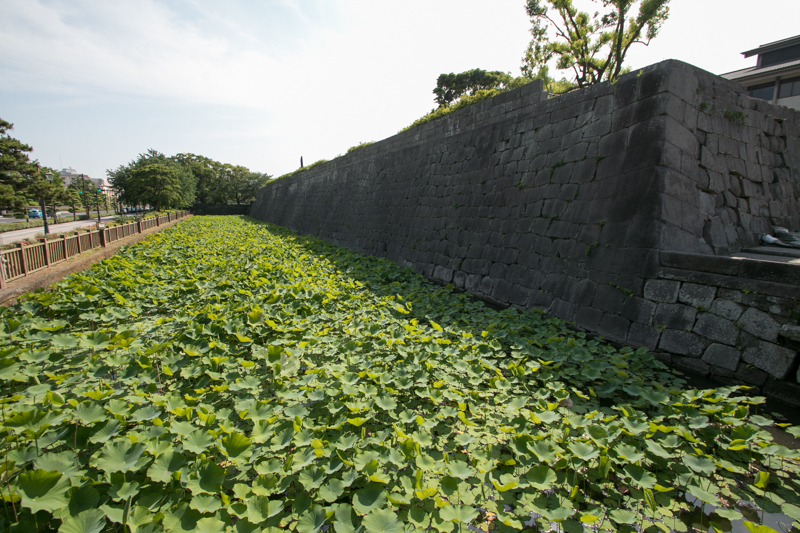 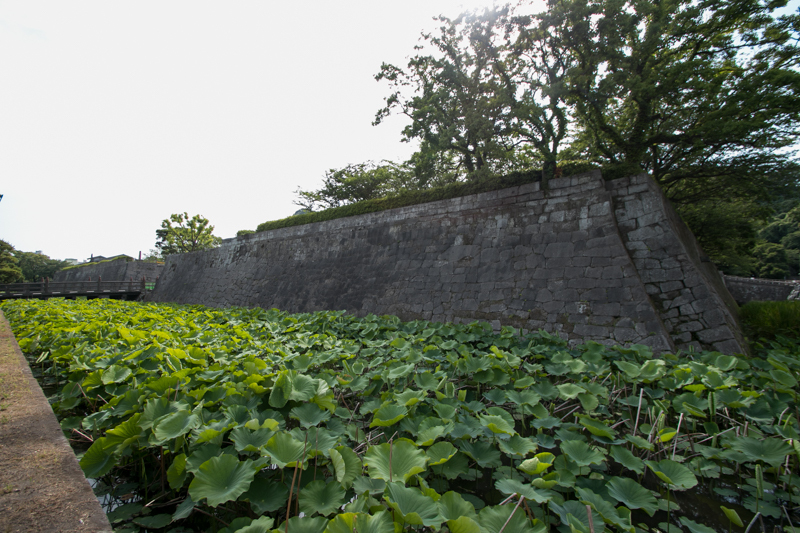 But in 14th century, among the battle with Kikuchi clan of Higo province, Shimazu clan moved to Kagoshima area and built Shimizuyama castle at the northeast of current Kagoshima castle. 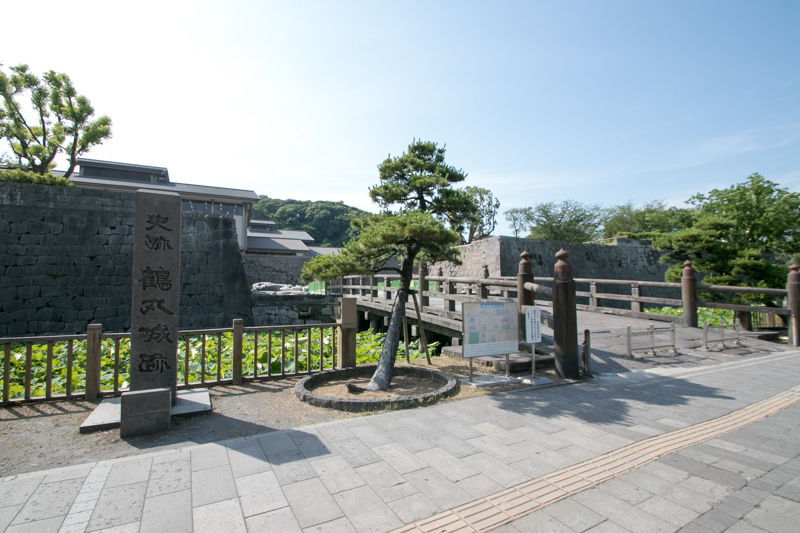 Furthermore, in 1550, Takahisa Shimazu (1514-1571) newly built Uchijyo castle which was large than Shimizuyama castle and moved from former residence Ichiuji castle. 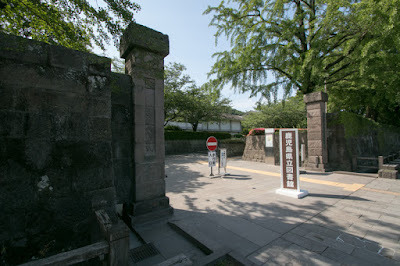 In 1586, after over 30 years battle of four brothers it mean Yoshihisa Shimazu (1533-1611), Yoshihiro Shimazu (1535-1619), Toshihisa Shimazu (1533-1592) and Iehisa Shimazu (1547-1587), Shimazu clan became the final corner to the unification of Kyushu island. 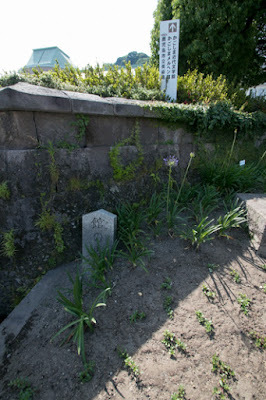 By 1577 Shimazu clan recovered Osumi province from Kimotsuki clan and Hyuga province from Ito clan. 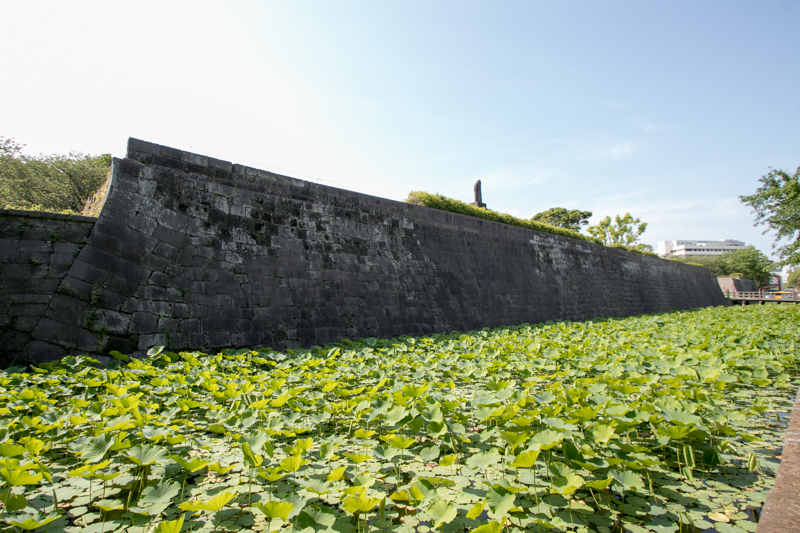 Next year Shimazu army broke large army of Otomo clan at the battle of Mimikawa in 1578m and reversed the situation of both clan. 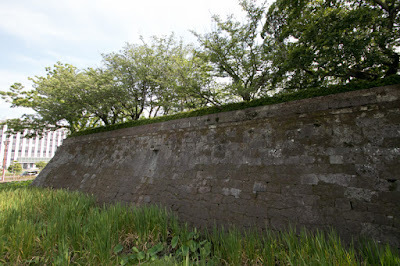 Once Ryuzoji clan became strong after the fall of Otomo clan, but Shimazu army broke this at the battle of Okitanawate in 1584, and in 1586 total attack against remaining Otomo clan started. 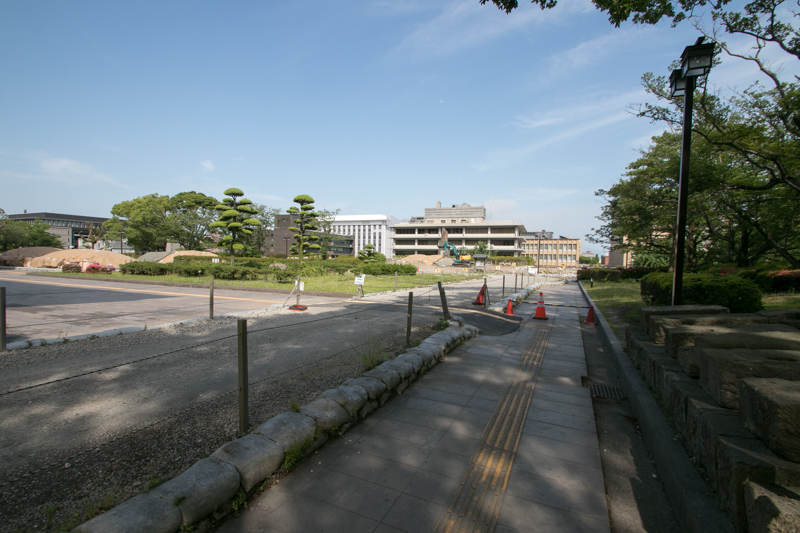 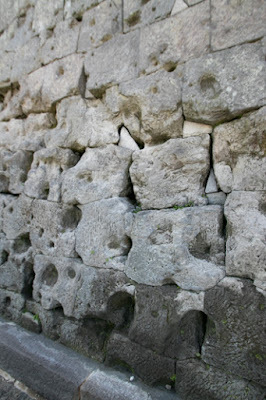 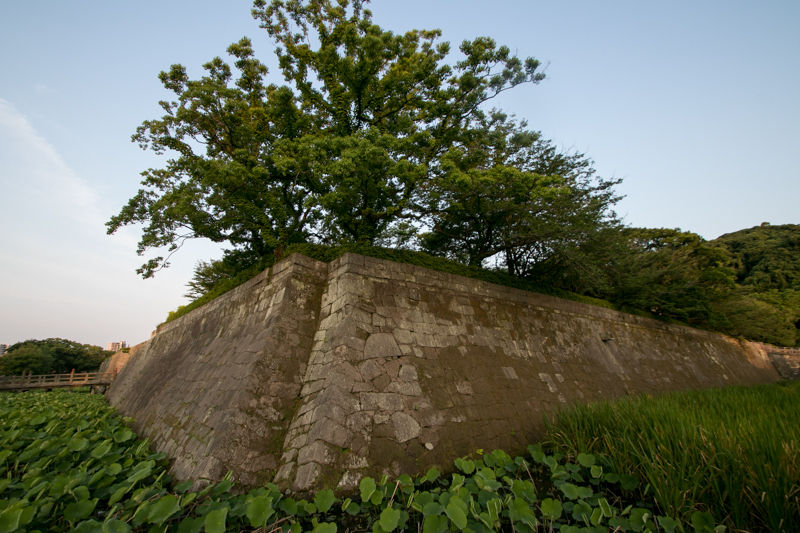 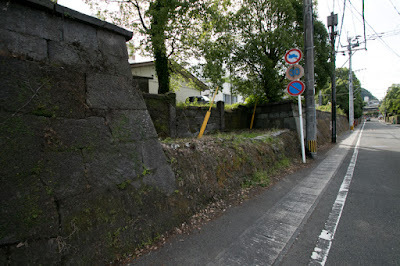 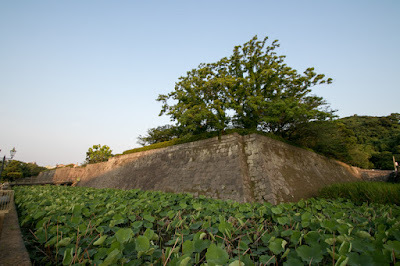 Some Otomo castles continued desperate resistance but Otomo clan was near to collapse. 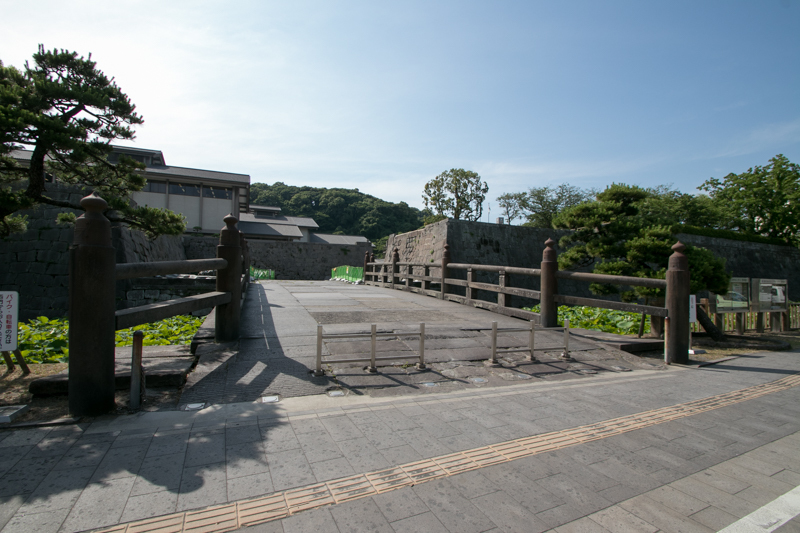 But before the attack of Shimazu clan, Yoshishige Otomo (1530-1587), leader of Otomo clan, asked assistance to Hideyoshi Toyotomi (1537-1598), the central ruler who battles after the death of former ruler Nobunaga Oda (1534-1582). 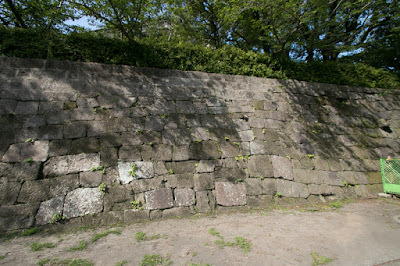 In 1585 and 1586, Hideyoshi was nominated as Kanpaku and Dajyodaijin, highest positions of Imperial Household, and established his government under the authority of Emperor. 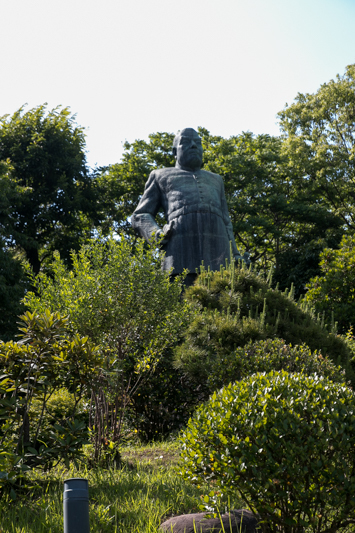 Hideyoshi who already made expedition to Shikoku island in 1585 and broke Motochika Chosokabe (1539-1599) who was the lord of Oko castle (Kochi prefecture) and almost united Shikoku island same as Shimazu clan. 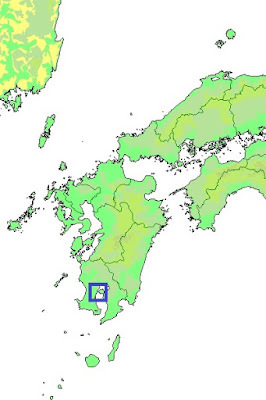 Hideyoshi let Chosokabe clan continue but decreased territory only to Tosa province, original province of clan. 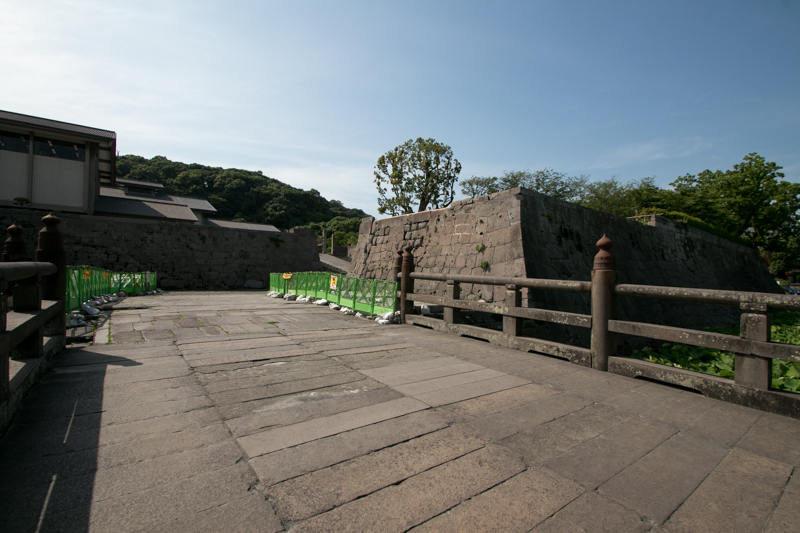 Based on the request from Yoshishige, Hideyoshi ordered to stop the battle to Shimazu clan and return to seized territory to Otomo clan, but Shimazu army could not accept it and strengthened their attack to unite Kyushu island before the arrival of army of Hideyoshi. But in 1577 summer, at last Mouri army landed north part of Kyushu island, and Shimazu army surrounded Tachibanayama castle guarded by Muneshige Tachibana (1567-1643) heard the news and retreated. 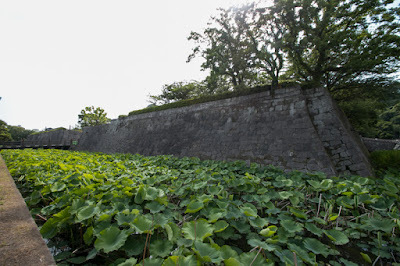 Brave Muneshige prompted chased retreating Shimazu army and recovered Iwaya castle and Homanyama castle seized by Shimazu army. At the same time, Yoshitaka Kuroda (1546-1604, known as his middle name Kanbe) who was an excellent military staff of Hideyoshi, persuaded local lords under Shimazu clan to change to Hideyoshi side when Hideyoshi actually arrives at Kyushu island with large army. 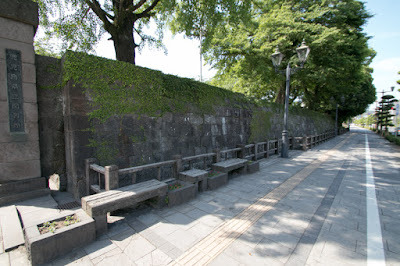 On the other hand, for Bungo province where Yoshishige was in tough situation, Hideyoshi sent reinforcement army consist of Shikoku island lords such as Motochika Chosokabe, Masayasu Sogo (1554-1587) and lead by Hidehisa Sengoku (1552-1614) to Funai city to support Otomo clan. Hideyoshi's departure was already decided at next spring, but this main force army was not so disciplines as Chosokabe clan and Sogo clan were formerly fatal enemy. 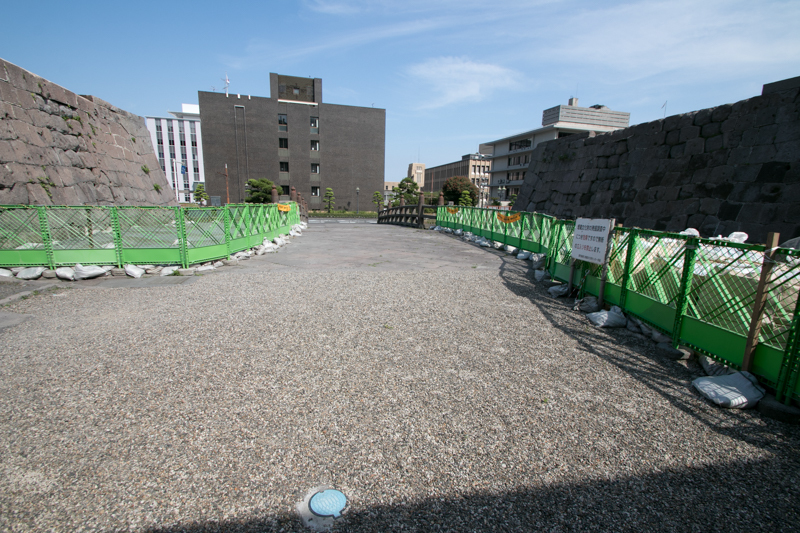 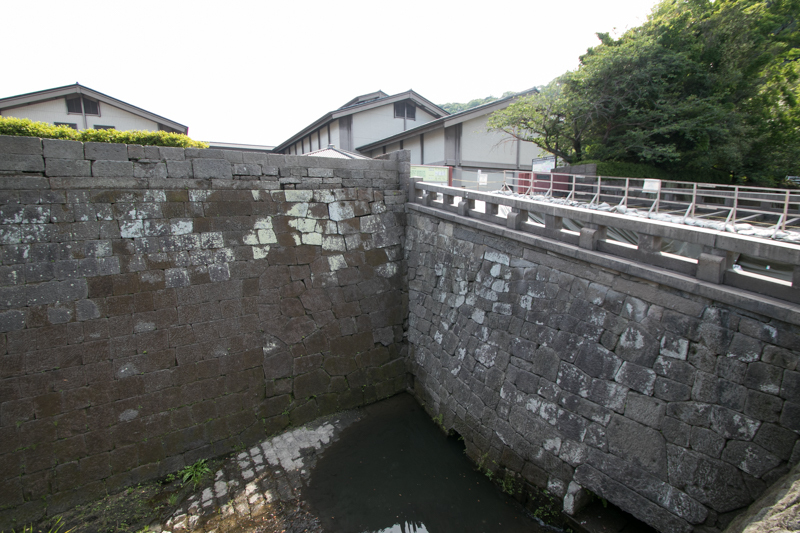 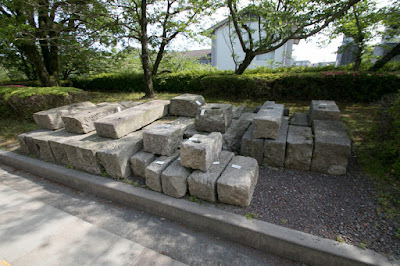 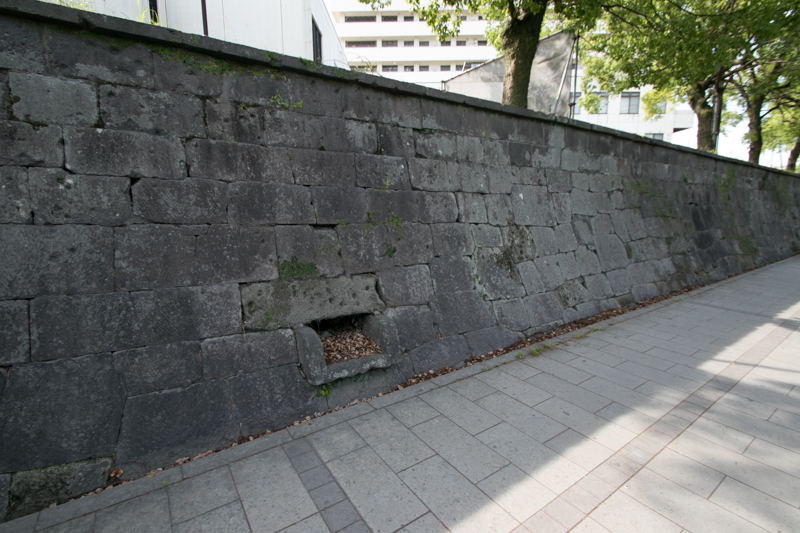 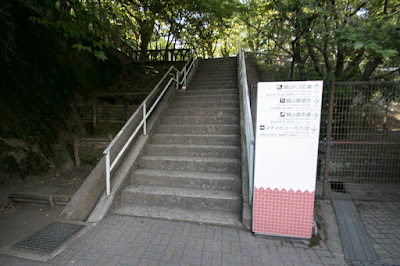 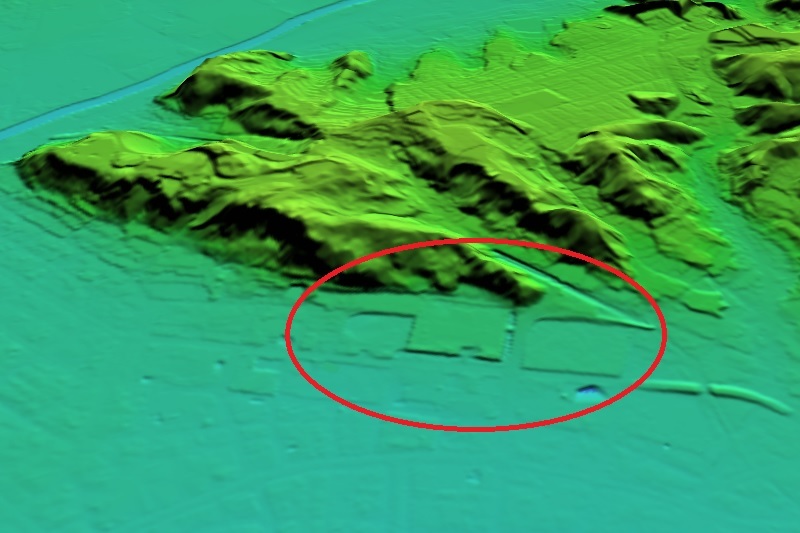 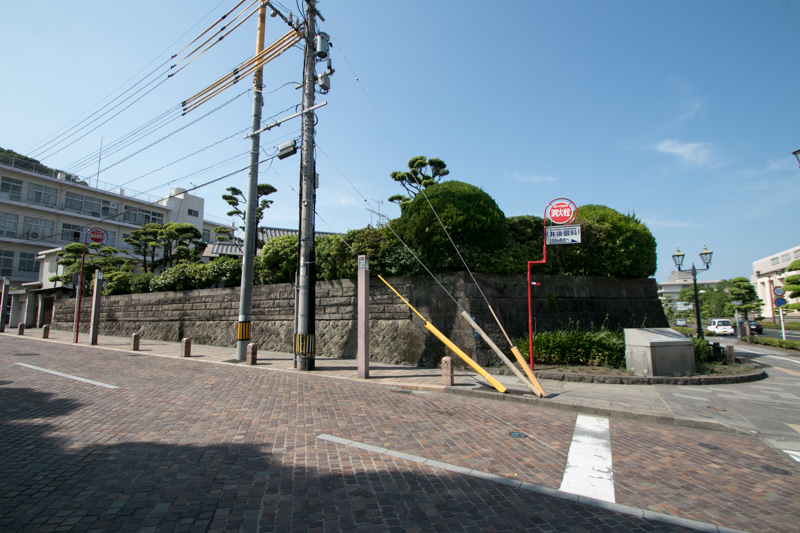 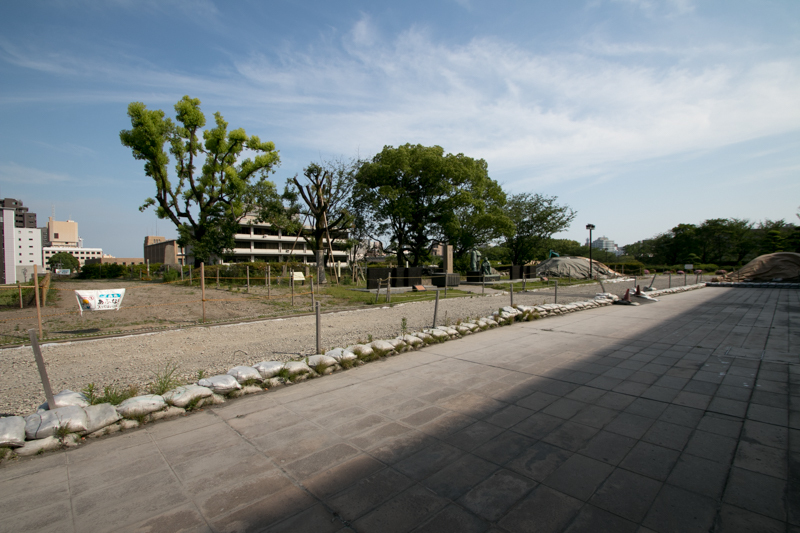 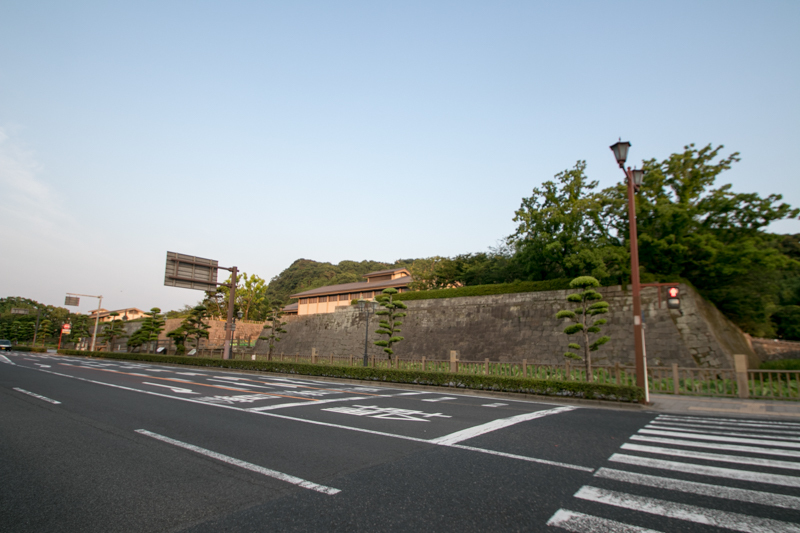 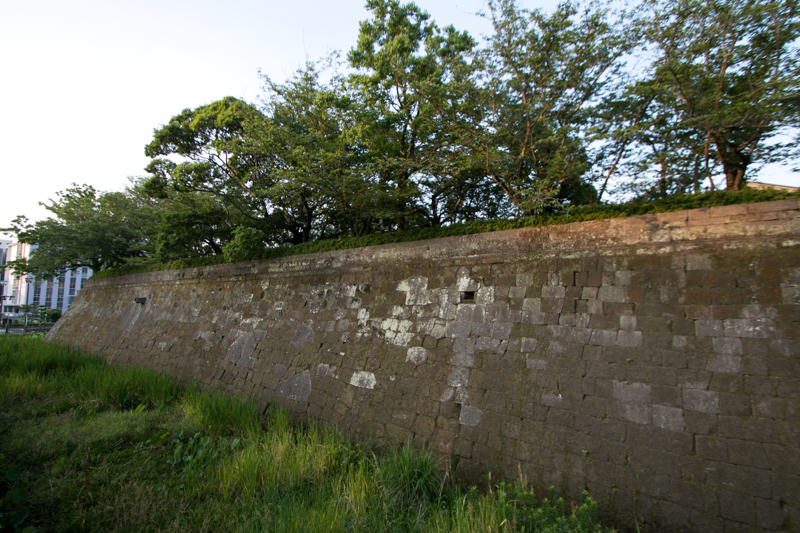 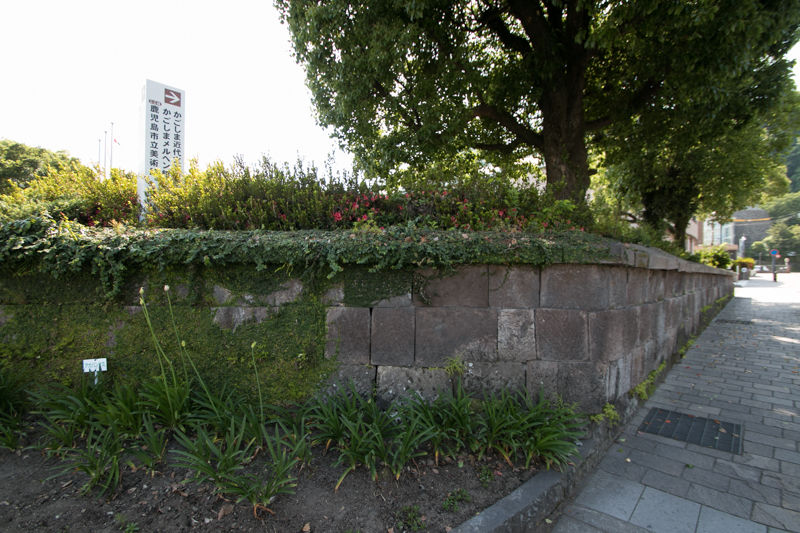 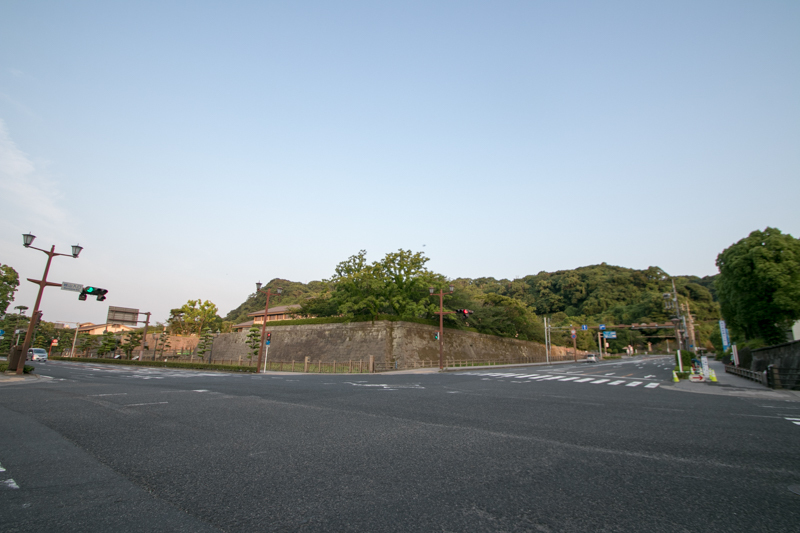 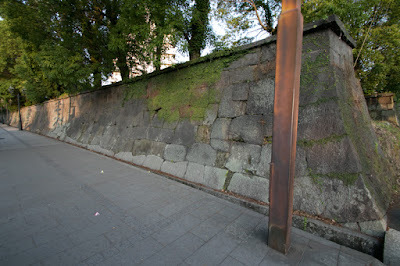 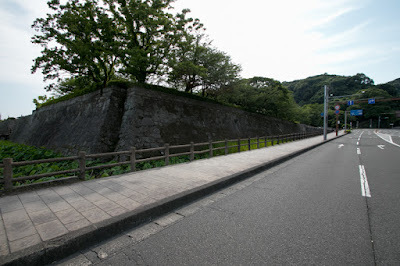 Funai area was a flat area and not suitable for defense, and Tsuruga castle which guard entrance into Funai area was fell before the fierce attack of Shimazu clan. 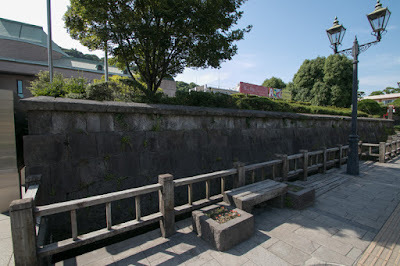 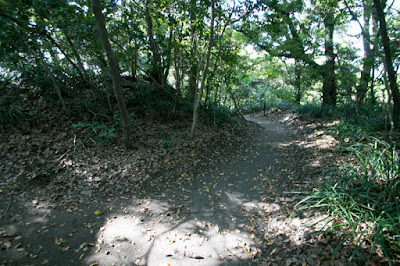 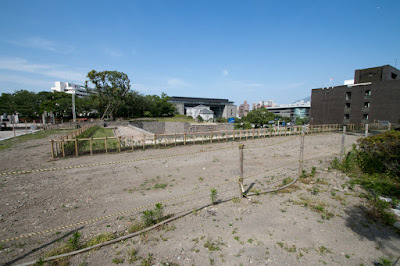 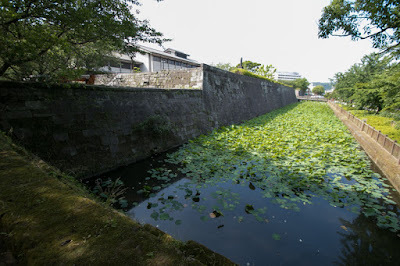 Under such situation, reinforcement army decided to attack the army of Iehisa Shimazu (1547-1587) tired at the attack of Tsuruga castle the both army confronted at the both side of Onogawa river at 6 kilometer south of Oita city. Motochika who knew the strength of Shimazu army insisted long drawn out battle, but Hidehisa insisted forced attack It might be an appeal to Hideyoshi, or fear of pincer attack by main force of Shimazu army which encircled Oka castle. 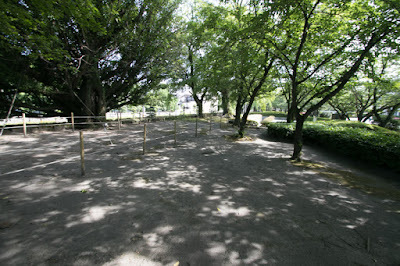 Anyway the battle of Hetsugigawa started. 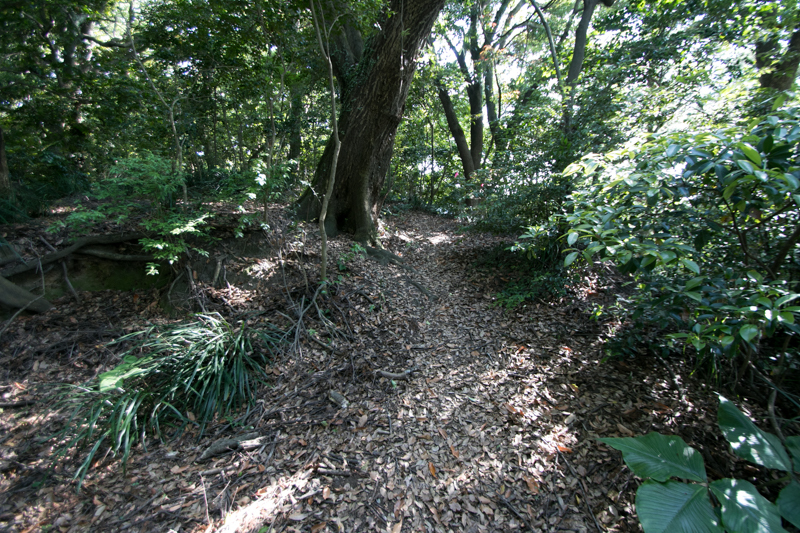 Considering the terrain this battle might proceed same as the battle of Mimikawa, when Shimazu army broke large army of Otomo clan in 1578. At first Hidehisa attacked Shimazu army and pushed, then Sengoku army crossed the river and rushed toward main force of Shimazu army. 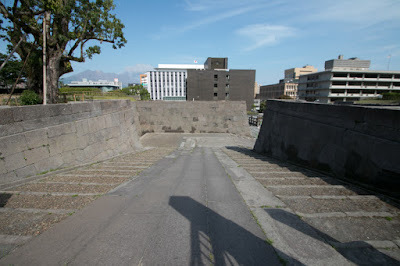 But it was a trap of Shimazu army and Sengoku army was captured by ambush troops of Shimazu army then collapsed, and following Sogo army and Chosokabe army also suffered fatal damage. 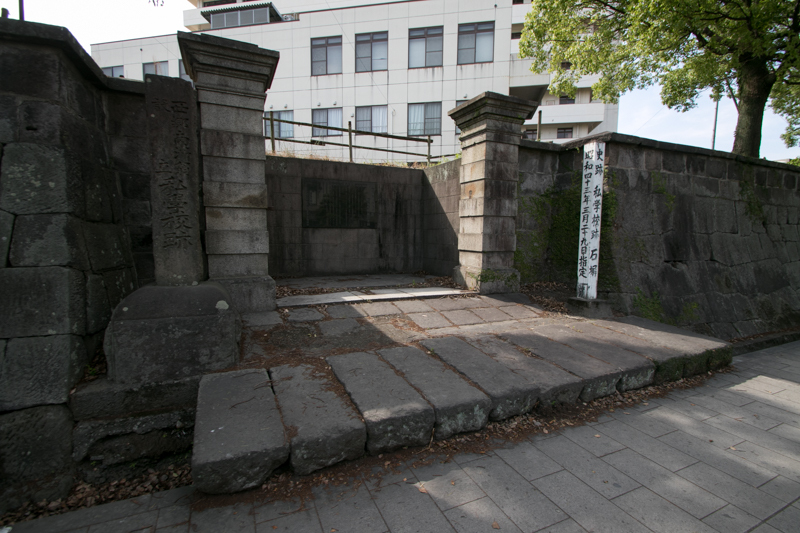 Masayasu Sogo died in this battle and hope of restoration of Miyoshi clan which dominated Kinki region 40 years before completely disappeared. 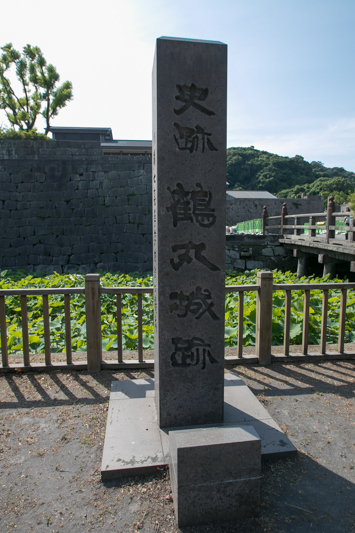 Nobuchika Chosokabe (1565-1587), young successor of Chosokabe clan, also died in the battle, and Chosokabe clan lost original successor could not decide their policy at the battle of Sekigahara because of severe internal conflict for successor and also extinguished. Motochika himself barely left the battlefield but once reported as died, and Hidehisa escaped to Kokura island leaving everything. Furious Hideyoshi expelled Hidehisa this time. 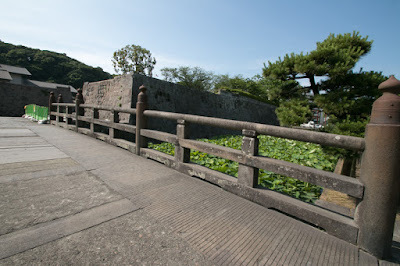 Shimazu army rejected Toyotomi force siege Usuki castle (Oita prefecture) where Yoshishige besiege, but Usuki castle was a secure castle in the sea only connected by one bridge to the land, and Yoshishige attacked Shimazu army by cannons imported from western countries. 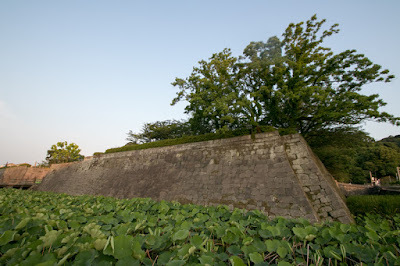 Oka castle and Saeki castle also remains, thus Shimazu clan could not defeat Otomo clan totally. Among such situation, in next spring, main force of Hideyoshi army with 200,000 soldiers at last arrived at Kyushu island. 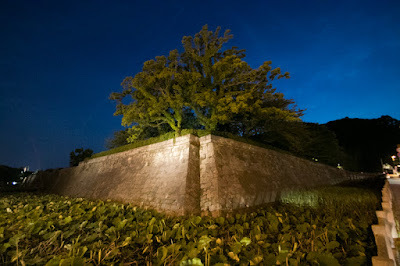 Toyotomi army fell Ganjyaku castle (Fukuoka prefecture) know as a secure castle only in one day, thus local lords of north part of Kyushu island changed to Hideyoshi all at once. Shimazu army had 40,000 solders but could not compete with 200,000 soldier of Hideyoshi army. 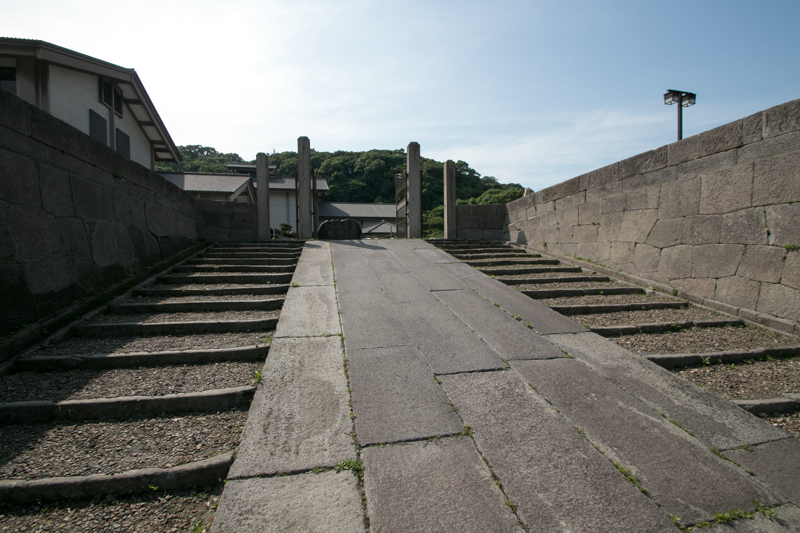 Thus Shimazu army retreated to mountainous area of Hyuga province and Higo province and endure as long as possible. 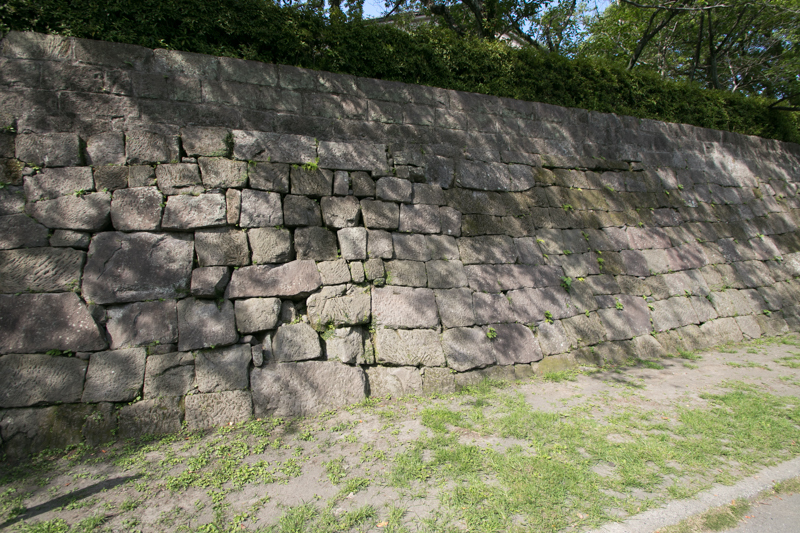 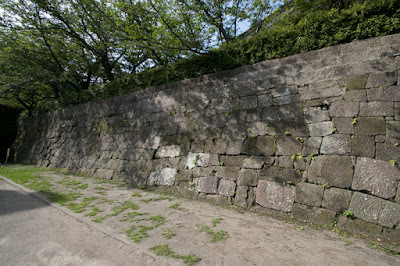 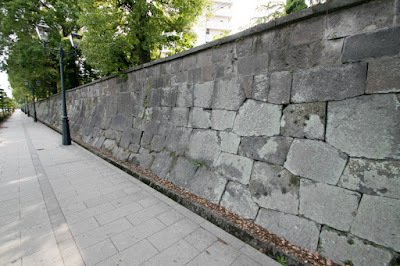 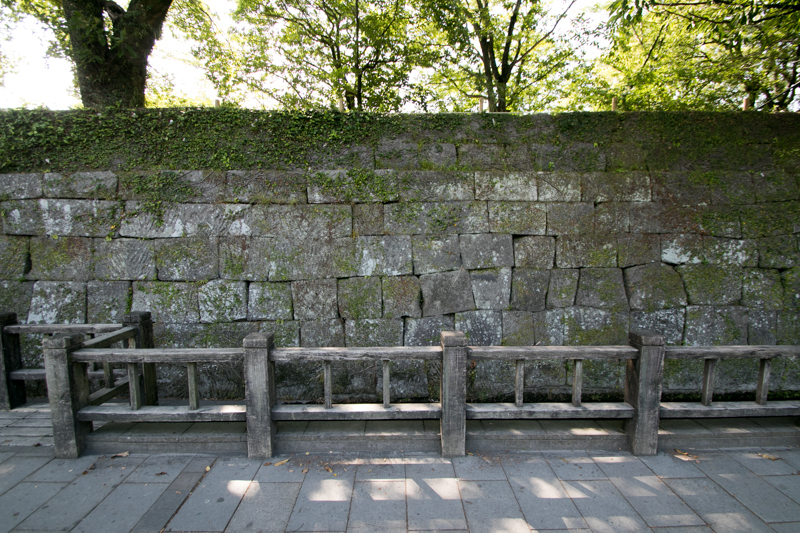 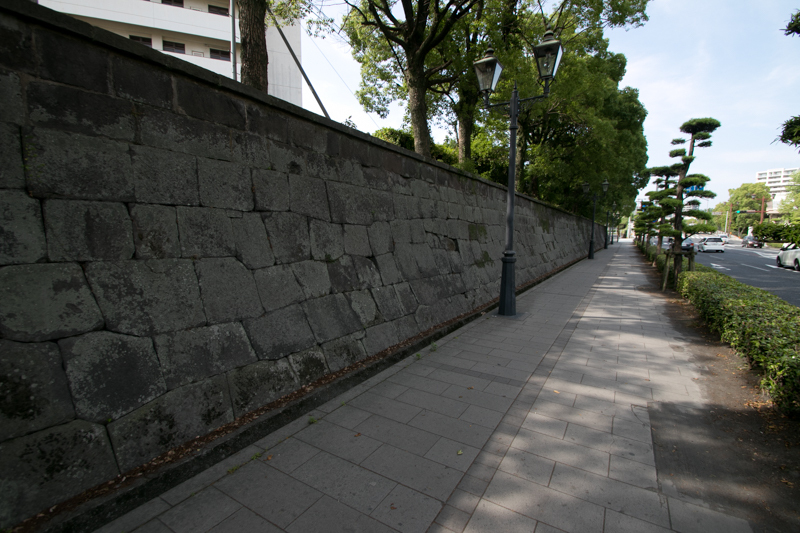 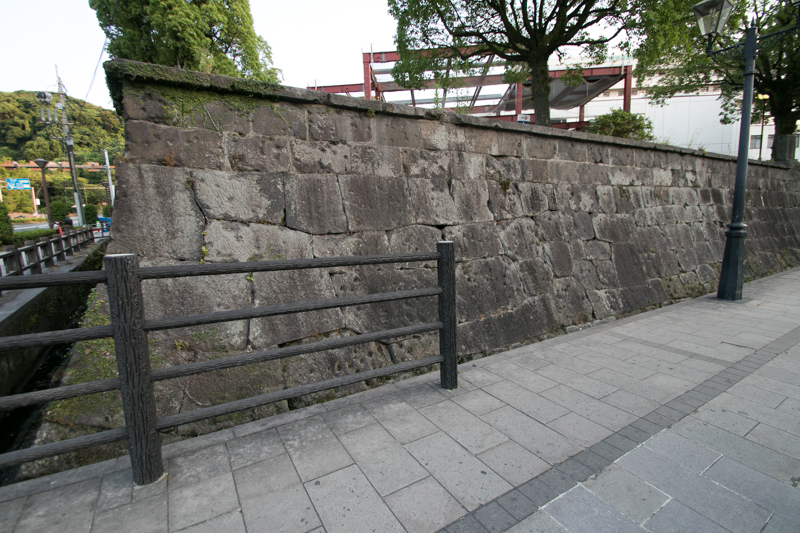 Detached force of Hideyoshi lead by his younger brother Hidenaga Toyotomi (1540-1591) advanced to southward, and siege Takajyo castle just before Miyazaki area. 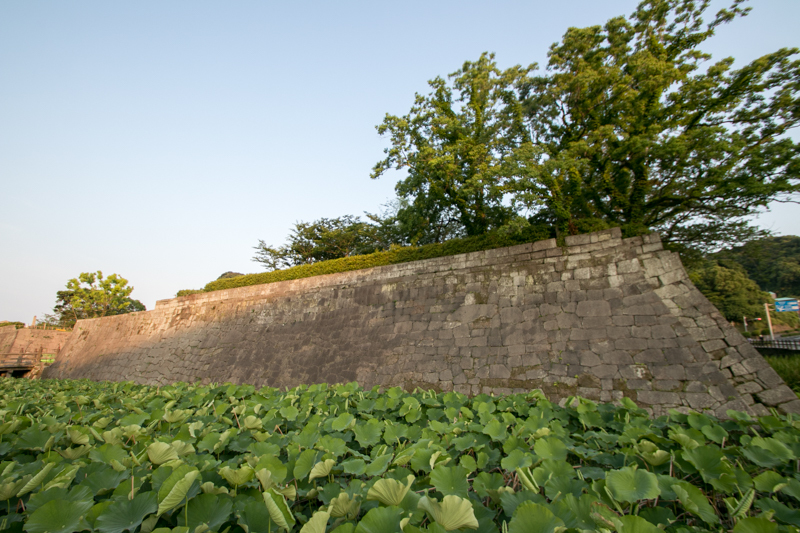 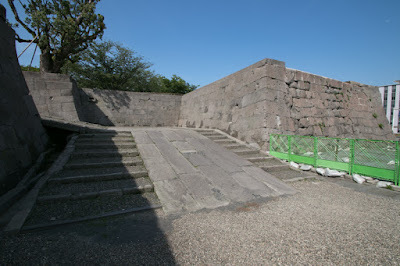 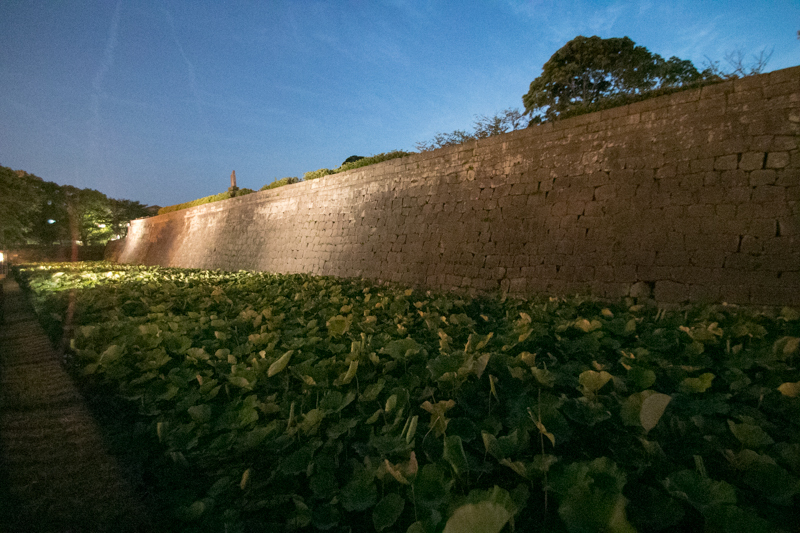 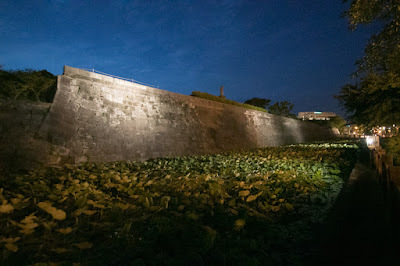 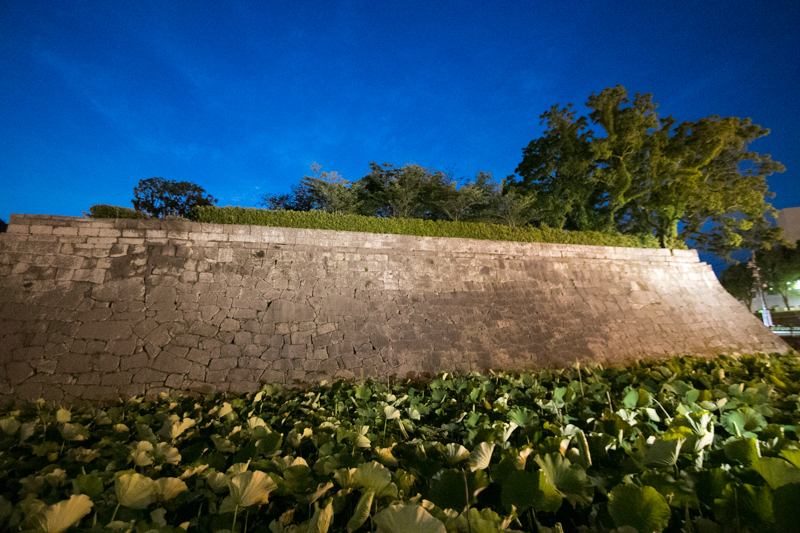 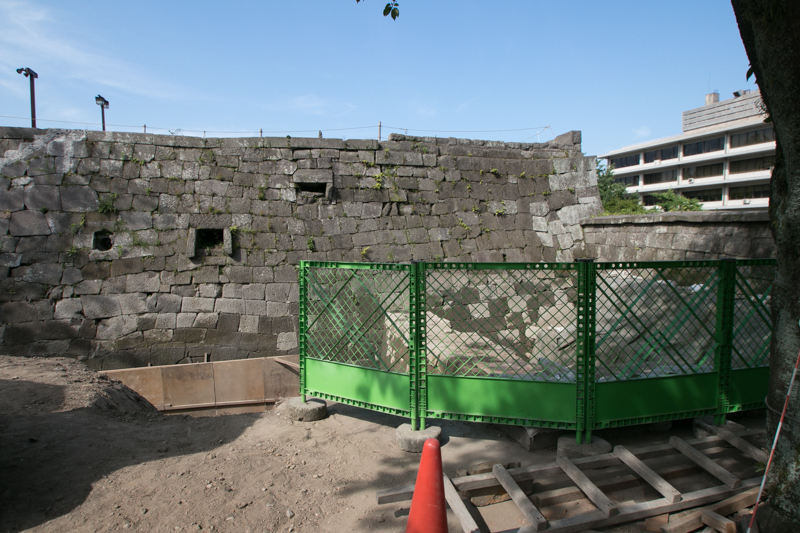 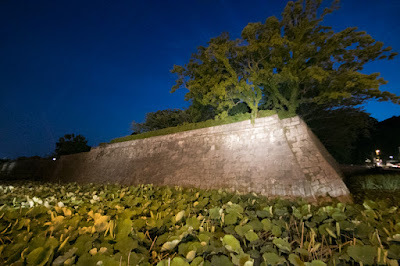 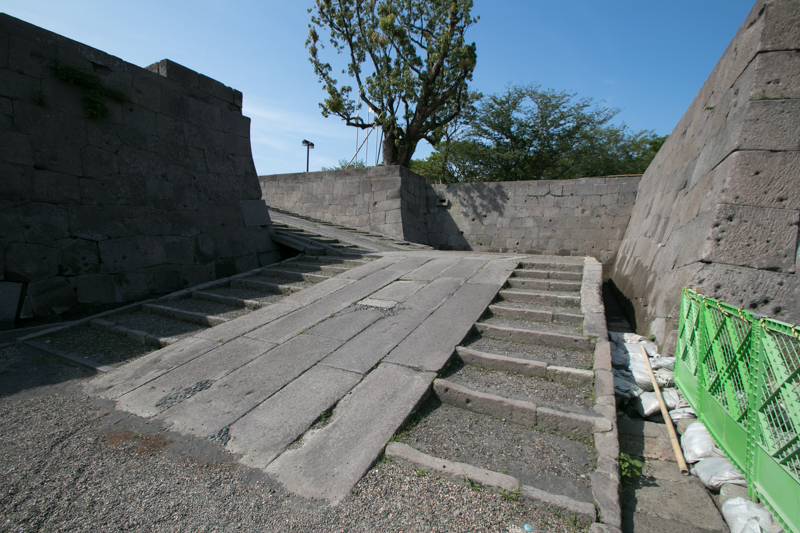 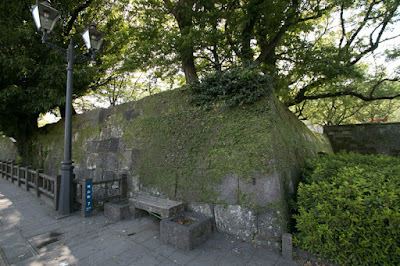 Same as the battle of Mimikawa 1578, Takajyo castle stood the attack well. 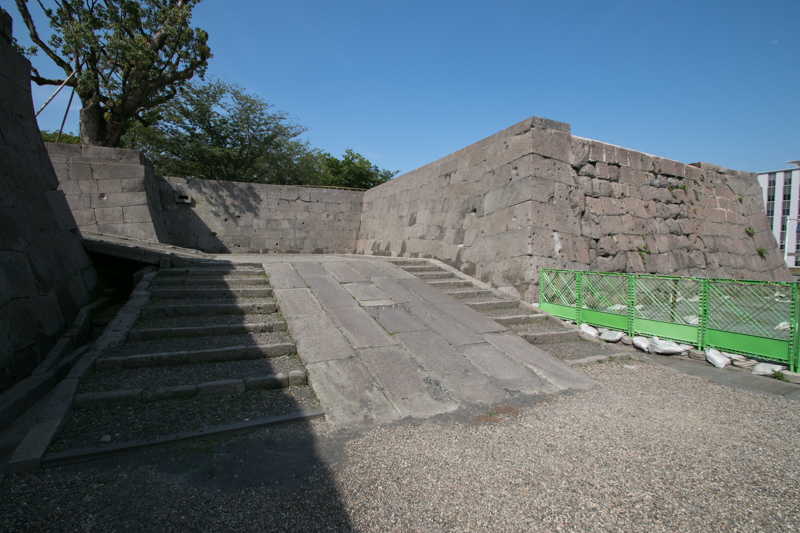 Hidenaga placed his 80,000 army at the height of Nejirozaka at the south of Komarugawa river, and spread whole force around the height. 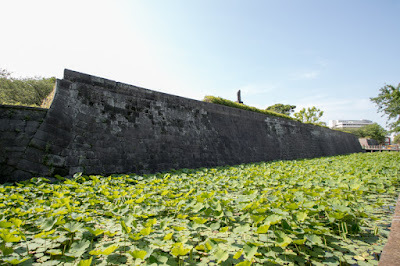 In response to this, Shimazu main army of 40,000 solders lead by Yoshihisa, Yoshihiro and Iehisa staked everything on this attack in the middle of April. 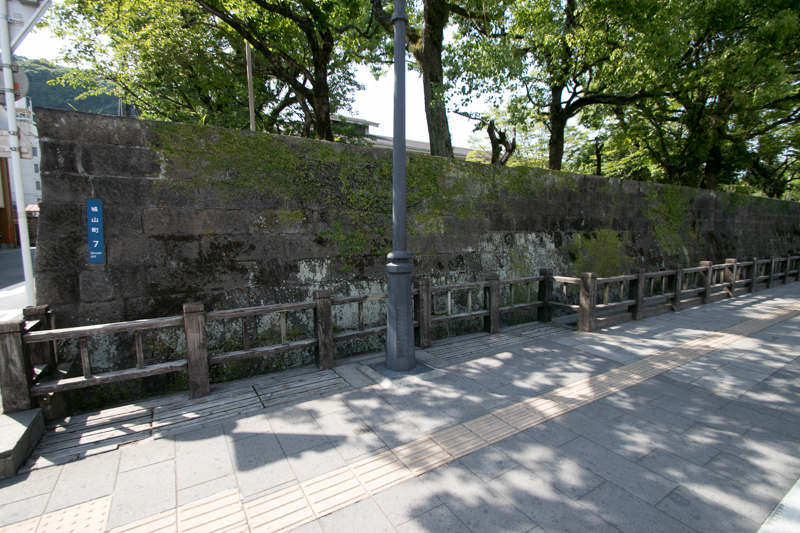 Fierce battle continued but this time Toyotomi army beware at ambush tactics and shot many matchlock guns from the top of height, and Shimazu army could not break this defense line and suffered severe damage. Furthermore, main army of Hideyoshi marched west coast of Kyushu island following local lords and reached to Satsuma province, the main base of Shimazu clan, by the end of April. Seeing such situation, Shimazu clan could not continue the battle any more. At the end of April Yoshihisa formally surrendered to Hideyoshi, and Hideyoshi accepted it and admitted Satsuma province, Osumi province and south part of Hyuga province to Shimazu clan. 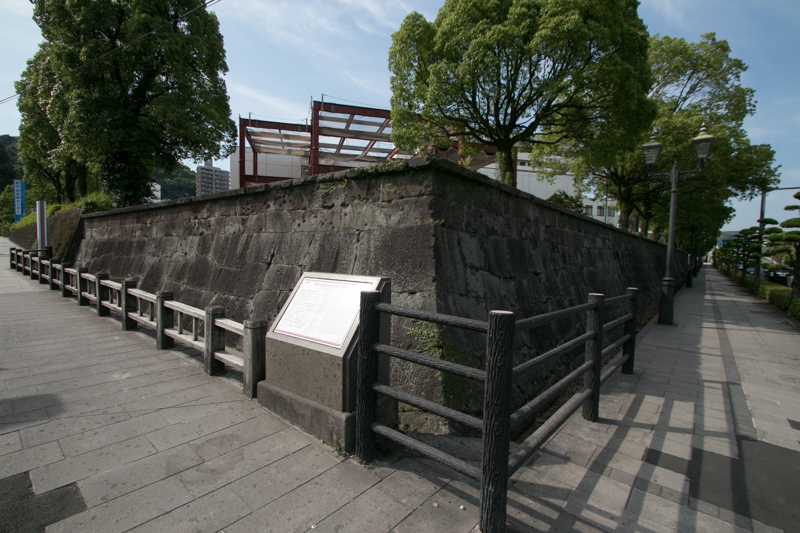 Now ambition of Shimazu clan was once broken by central authority. By the death of Hideyoshi in 1598, Shimazu clan served to Hideyoshi and activated at foreign expedition. After the death of Hideyoshi, Ieyasu Tokugawa (1543-1616), the largest lord under Toyotomi government, and Mitsunari Ishida (1560-1600), the chief magistrate of Toyotomi government, fought for next hegemony. At that time Shimazu clan was both lead by Yoshihisa who did not like Hideyoshi and Yoshihiro close to Toyotomi government and Mitsunari, then as a result, only Yoshihiro belonged to Mitsunari with 1,000 soldiers. But at the decisive battle at Sekigahara, Ishida army was broken by Ieyasu and collapsed. 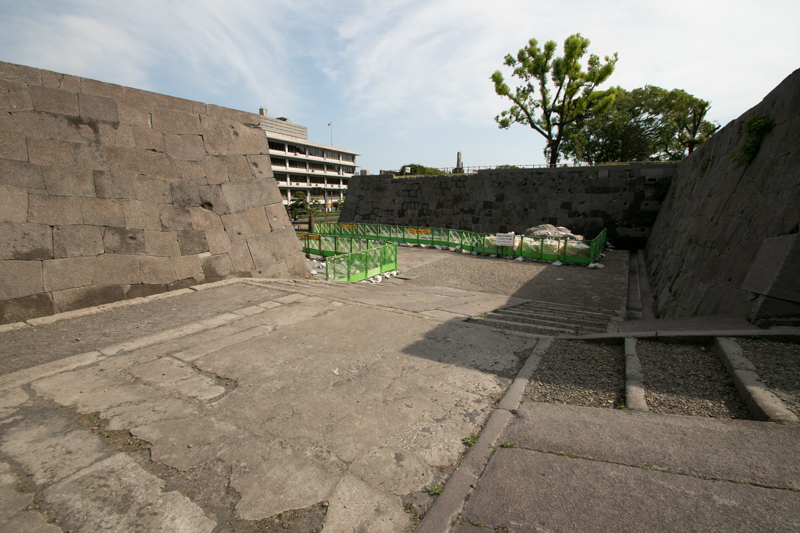 in the midst of collapse and running of friendly force, Yoshihiro decided to charge into triumphant 50,000 Tokugawa army and pierce it then retreat. Shimazu force at first broke Fukushima force at the vanguard of Tokugawa force, then passed next of royal guard of Ieyasu then dashed into the direction of Ise province (Mie prefecture). 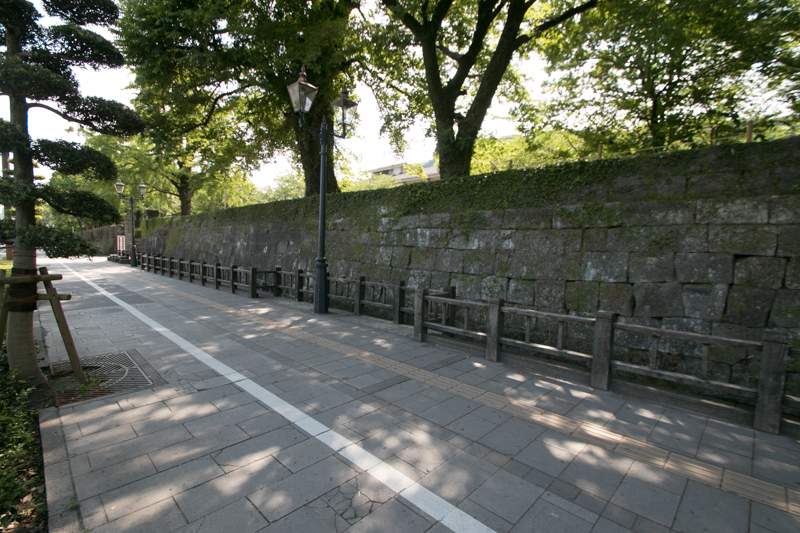 Naomasa Ii (1562-1602), a brave commander of Tokugawa clan known as its red color armored army, chased this running Shimazu troop. But Shimazu army left suicide squads after their way, and these soldiers confined chasing Ii army in exchange of their live and finally injured Naomasa himself. 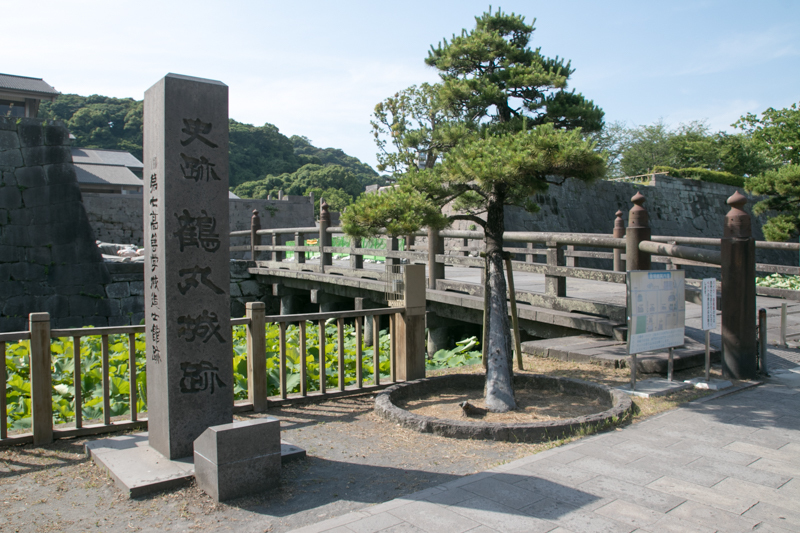 Shimazu army lost Toyohisa Shimazu (1570-1600), son of Iehisa, and other many generals and soldiers, but finally succeeded to leave the battlefield and return to Satsuma province. 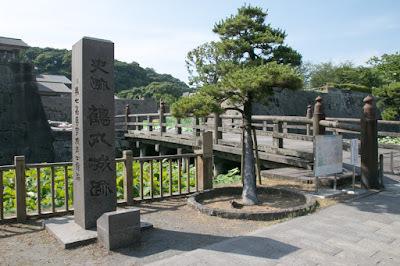 On the ship to Kyushu island, Yoshihiro met Muneshige Tachibana (1567-1642) who was killed his father by Shimazu army and also belonged to Mitsunari then retreated. 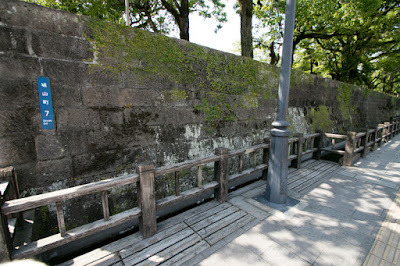 Muneshige had full force but did not revenge his father and cooperated Yoshihiro to return to Satsuma province. As a gratitude Yoshihiro sent army to Muneshige still fought at Yanagawa castle (Fukuoka prefecture) but this force arrived after the surrender of Muneshige. 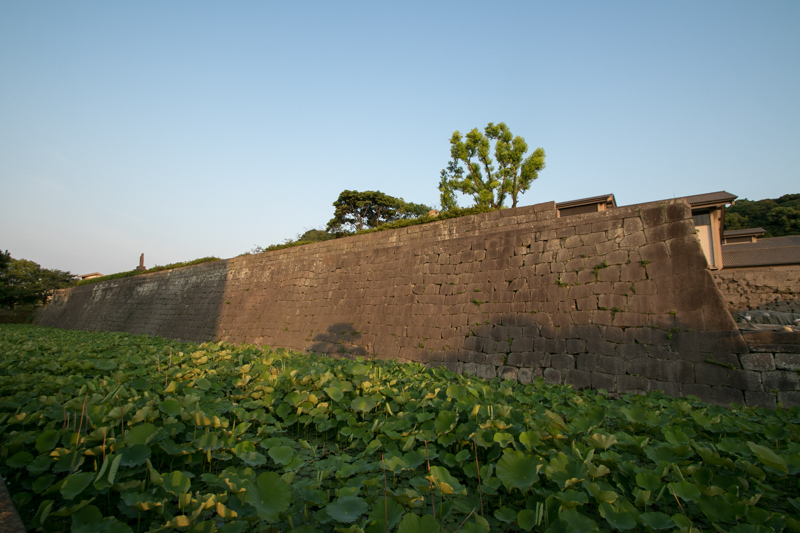 After the battle of Sekigahara, Shimazu clan made tough negotiation with Edo Shogunate. 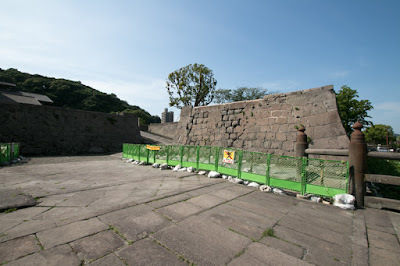 As above frontal breakthrough the strength of Shimazu army was well known, and once Ieyasu sent expedition force to inside of Kyushu island and took time with strong army, there might be a revenge of survived Ishida side lords or other ambitious lords. 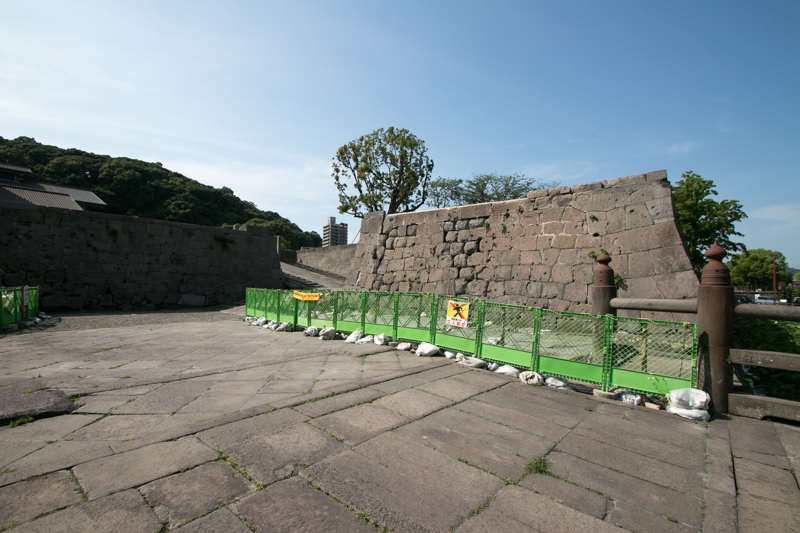 Thus finally Ieyasu had to ignore the hostility of Shimazu clan. 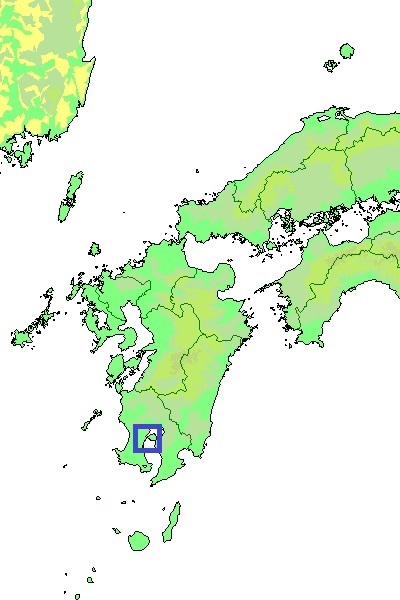 and approved them former territory. 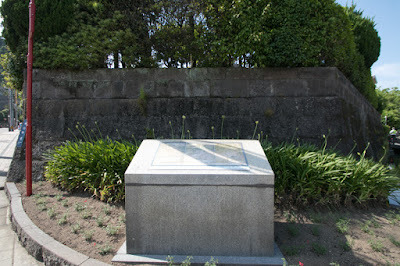 It was said that Ieyasu told at this death that bury his body standing and looking for the west, to monitor Mouri clan and Shimazu clan as future enemy of Edo Shogunate. 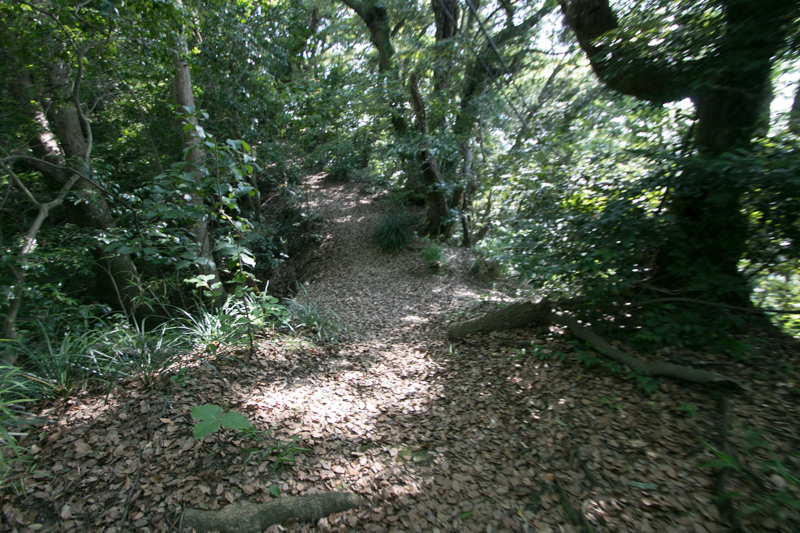 Shimazu clan survived as a feudal lord of Satsuma domain built Kagoshima castle at the slope before Shiroyama mountain in 1604. 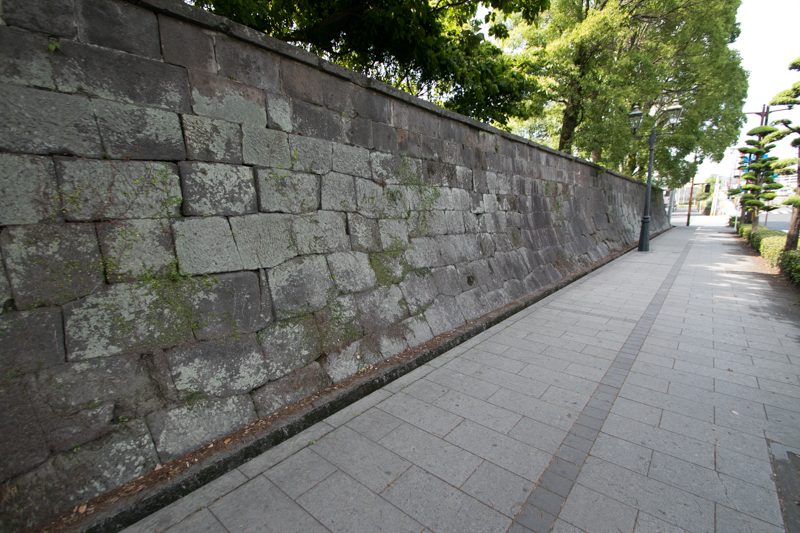 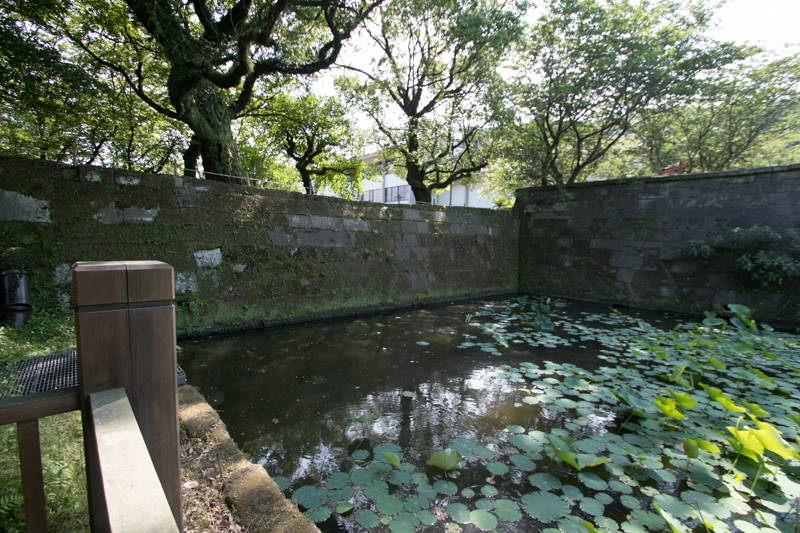 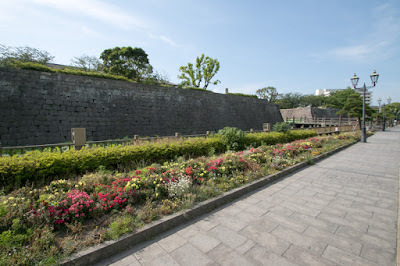 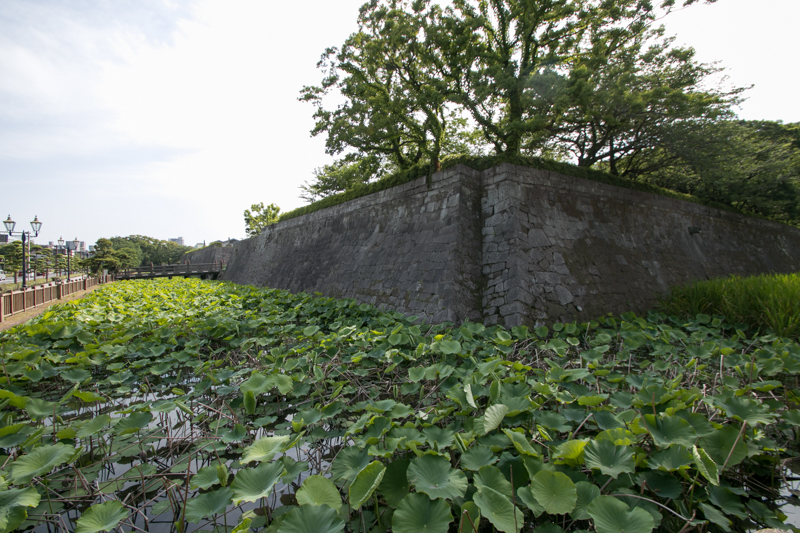 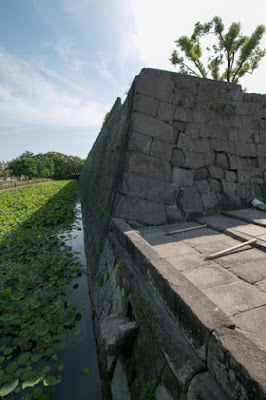 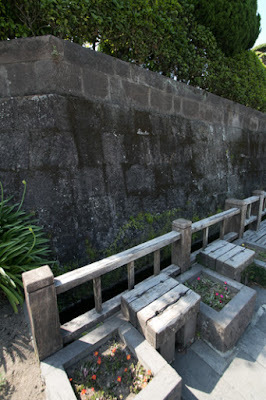 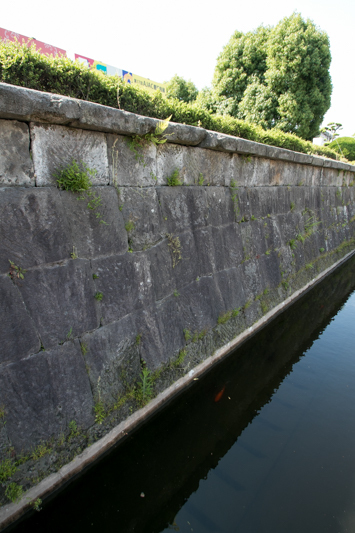 Kagoshima castle is a simple residence consist of 200 meter long square central area, 150 meter square secondary area at the next of central area and small surrounding areas. 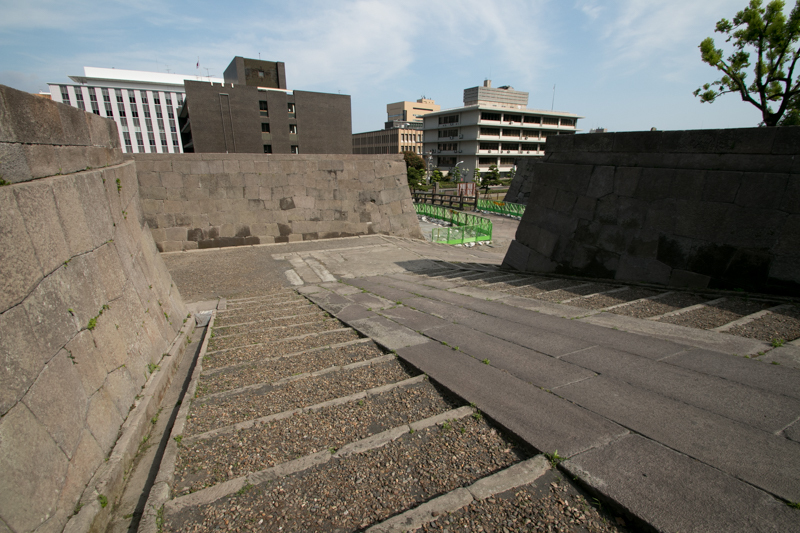 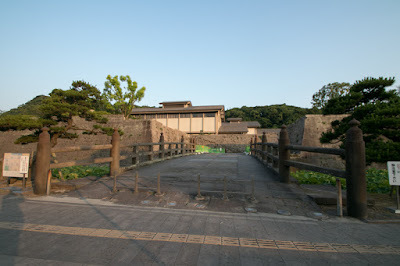 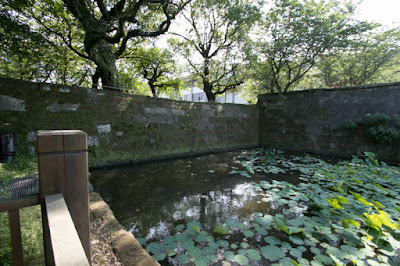 There was no tall building, but as a residence of large feudal lord main gate into central area was a magnificent one. 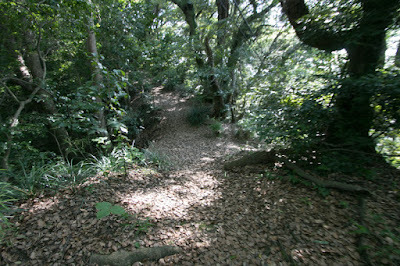 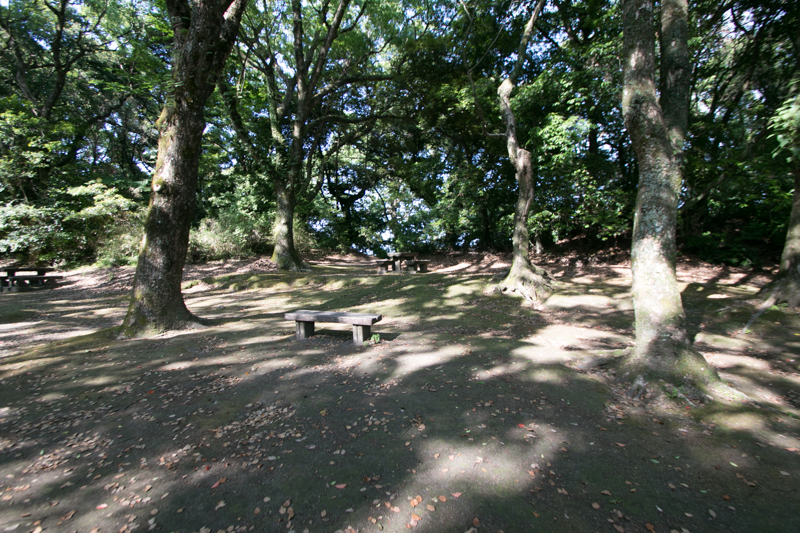 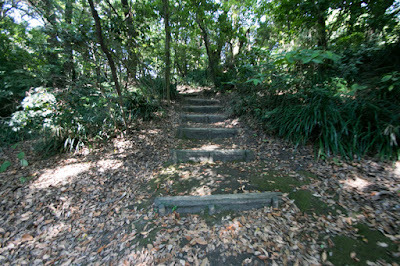 Behind the castle Shiroyama mountain of 100 meter height exists, and thought to be used as a fort in case of emergency. 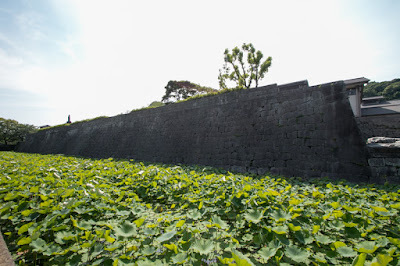 Satsuma domain preserved former castles throughout the territory, but intended to protect the nation based on these fort, not by Kagoshima castle. Over 250 years after the battle of Sekigahara, Satsuma domain became the major leader at Meiji revolution and finally could beat central authority. 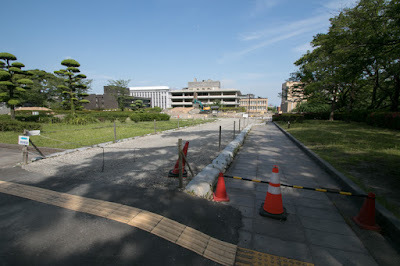 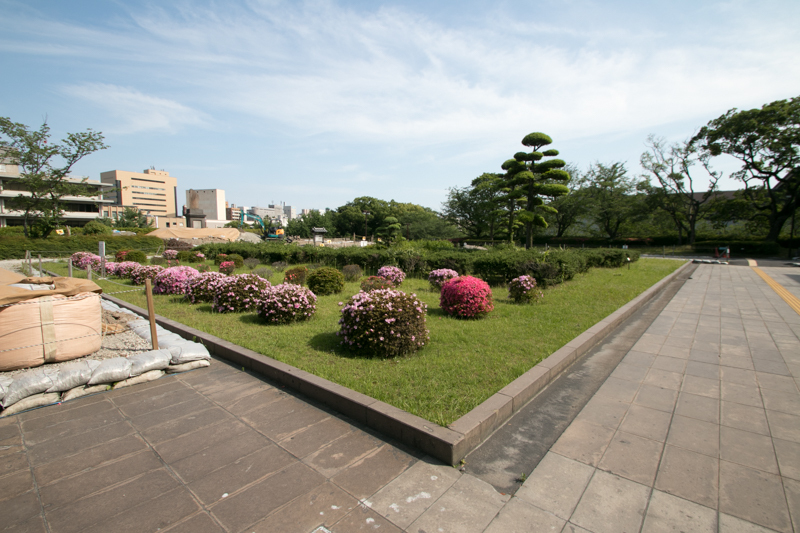 Today all building of the castle was burnt down at the time of Seinan War (Seinan Sensou ) in 1877, now castle site became the ground of library or museum. 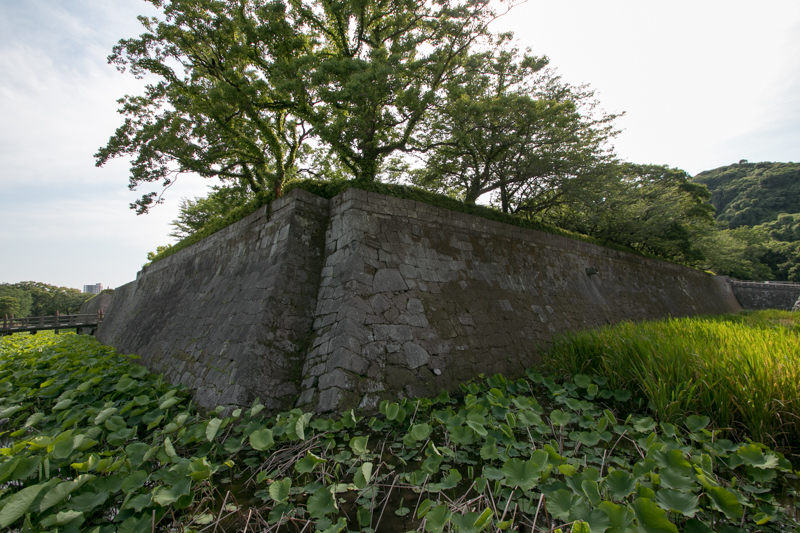 Simple structure of castle does not match to the strength of Shimazu clan, but it might needless to show the strength of the general and people of Shimazu clan in the shape of castle. 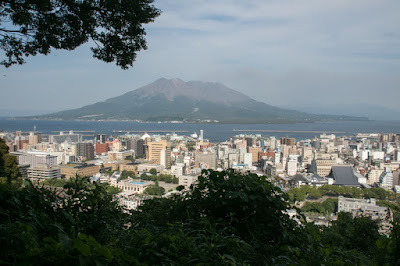 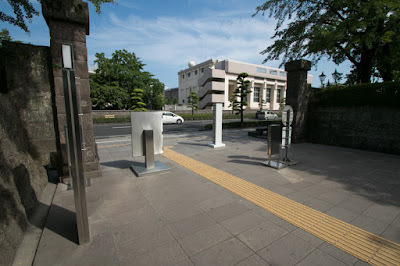 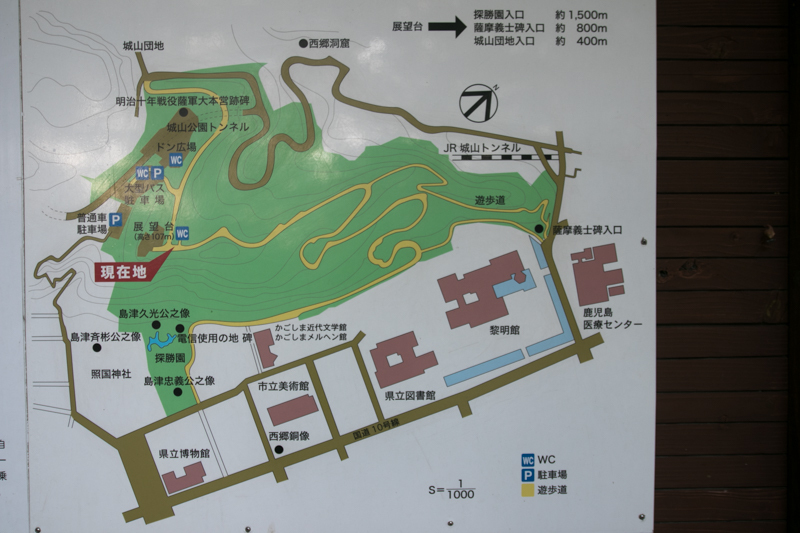 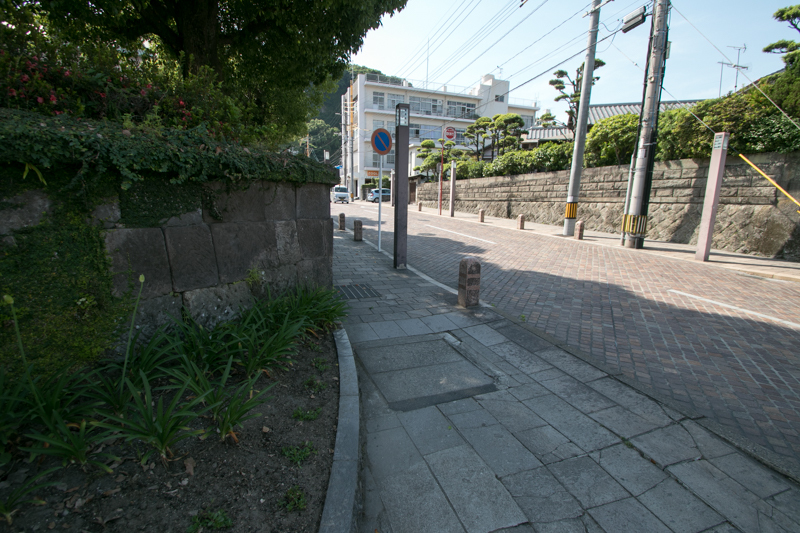 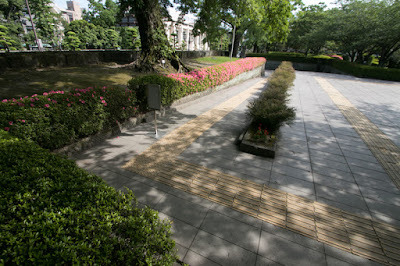 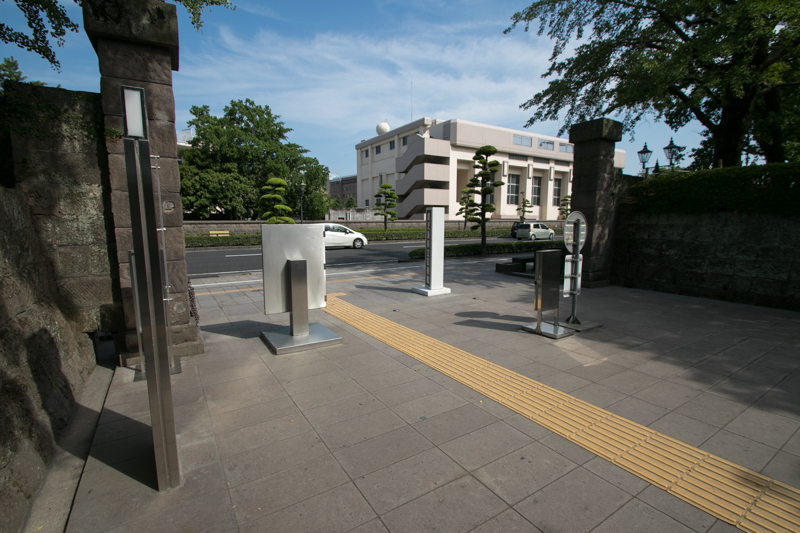 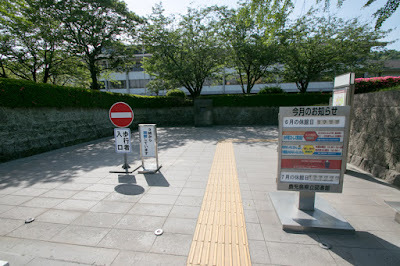 15 minutes walk from JR Kyushu Kagoshima Honsen line / Nippo Honsen line Kagoshima station. 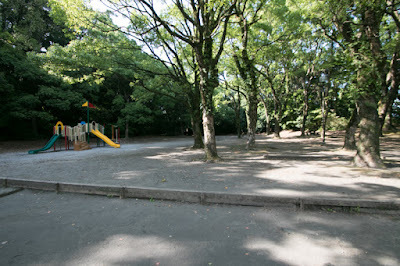 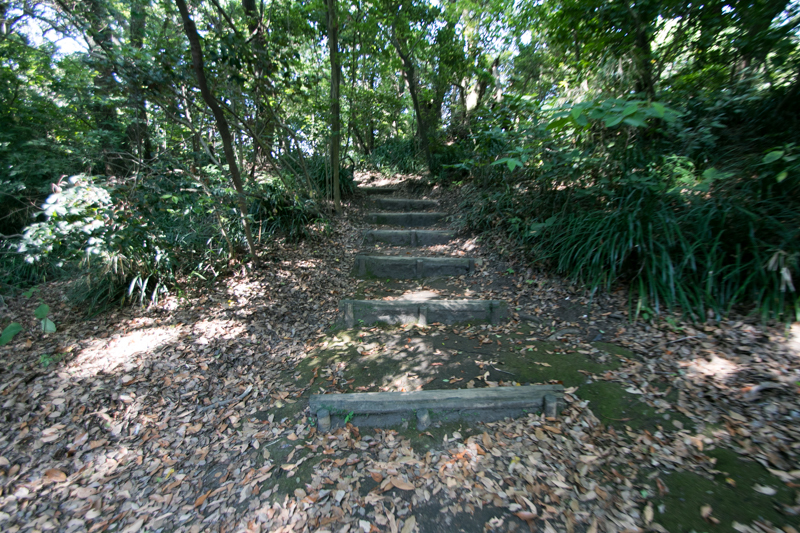 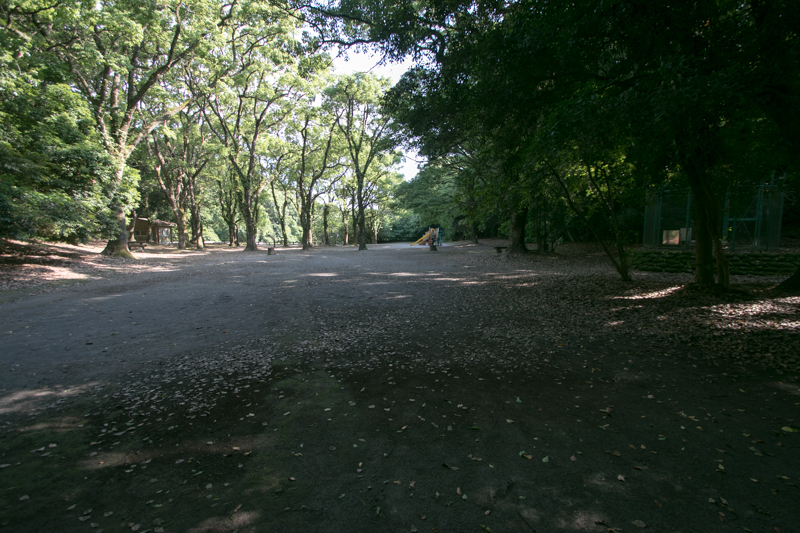 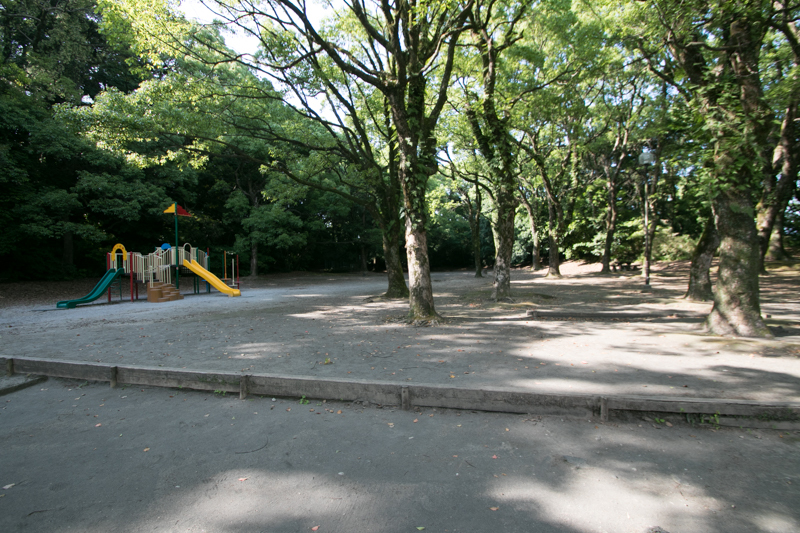 15 minutes drive from Kyushu Expressway Kagoshimakita interchange.